This TREND is here to stay..!! 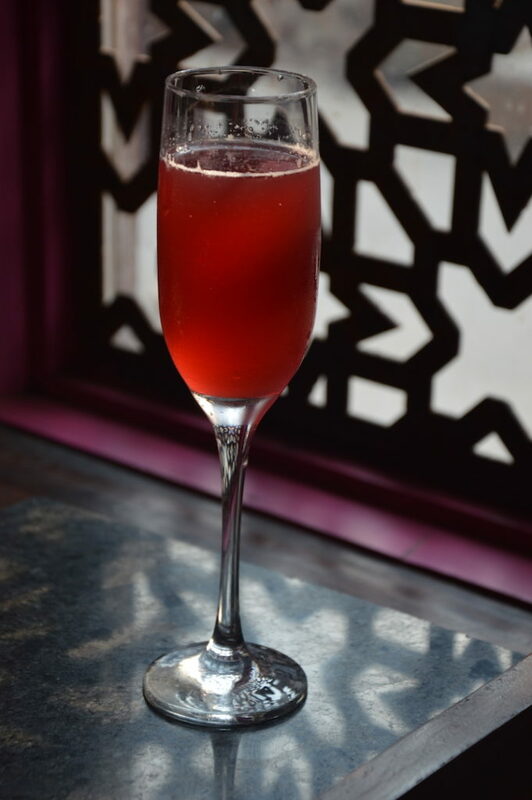 Trend is the newest entrant at the recently reopened and established Ansal Plaza and this TREND is here to stay for sure. 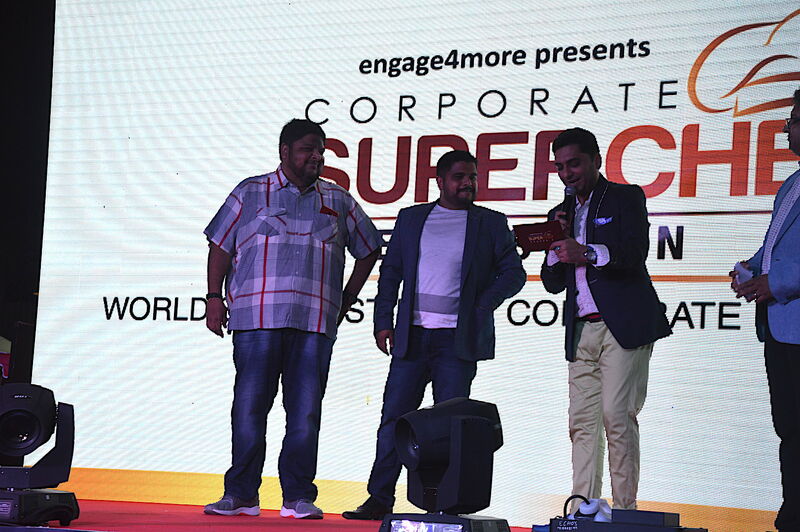 Brought to us by Gundeep Anand, Jaideep Anand, Himanshu and Vidit Gupta who also have brought alive brands like Tamasha and Cafe Dalal Street earlier, this one adds another feather to their cap. Designed in a chic and classy way, it has a rustic yet modern appeal to it. 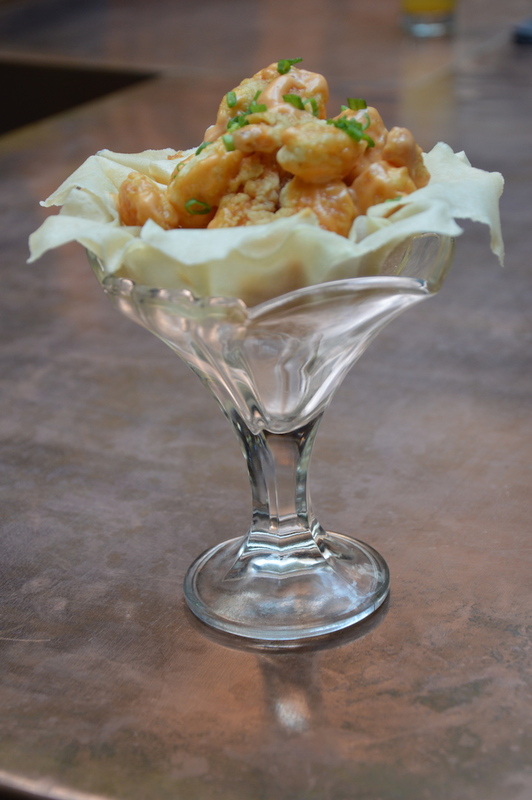 Its a perfect example of cross bid between fine dining and casual dining. 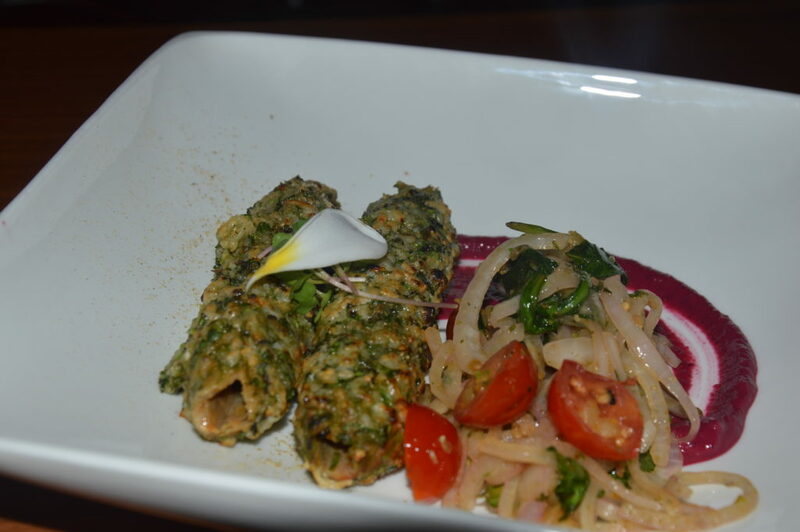 The cuisine is Modern Indian and focuses on the authenticity of flavours inspite of being modern. 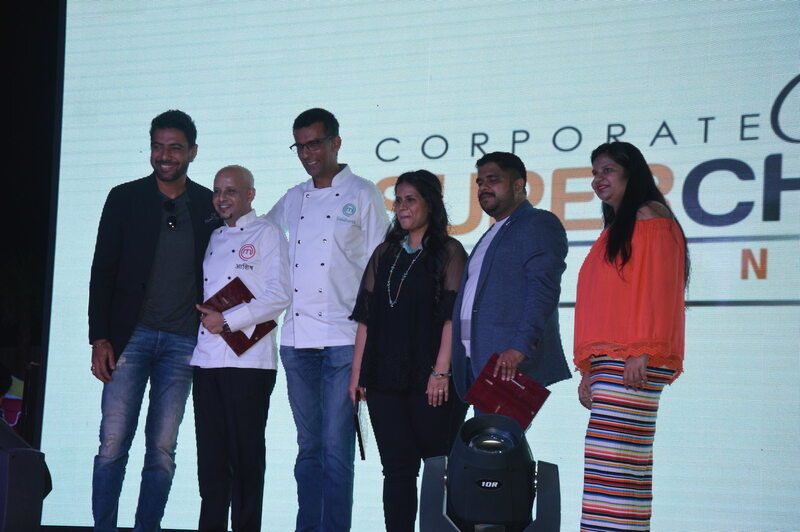 As discussed with Chef Jiten Shah, the aim of the restaurant is to provide unique foodie experience to their customers but at the same time, they don’t want to create confusions with fusions. 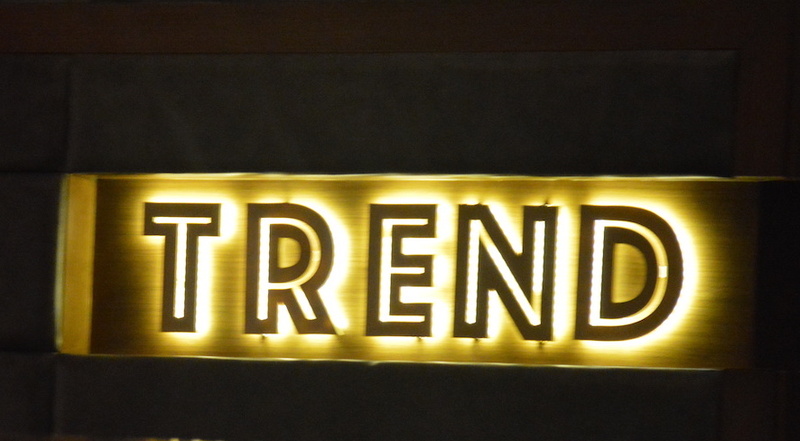 And now after having the food at Trend, I can vouch for it. 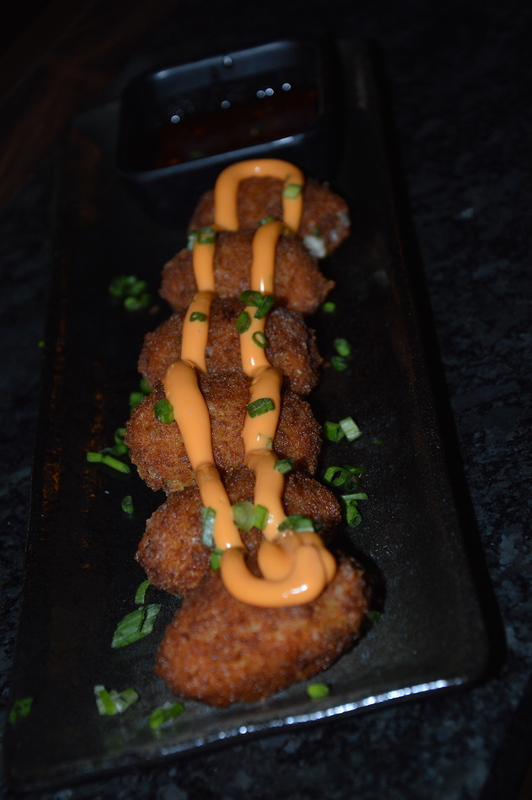 They truly are serving different food, which you won’t find elsewhere and yet the flavours aren’t overplayed. Now coming to what I tried and recommend, to begin with we ordered Mutton Vada Pao, Mozzarella Bread Pakoda, 3 Cheese Soufflé in Potato Cup, Chutney Chicken Seekh and Rechad Masala Rawas from the Small Plate Menu and believe you me, each and every item was delicious to the core. The Mutton Vada Pao, was definitely one of the best I have ever eaten. The mutton inside the pao was done perfectly, it was a minced meat cutlet which was fried and yet it tasted very different, the pao was extremely soft, and for me each bite into it was a heavenly delight. 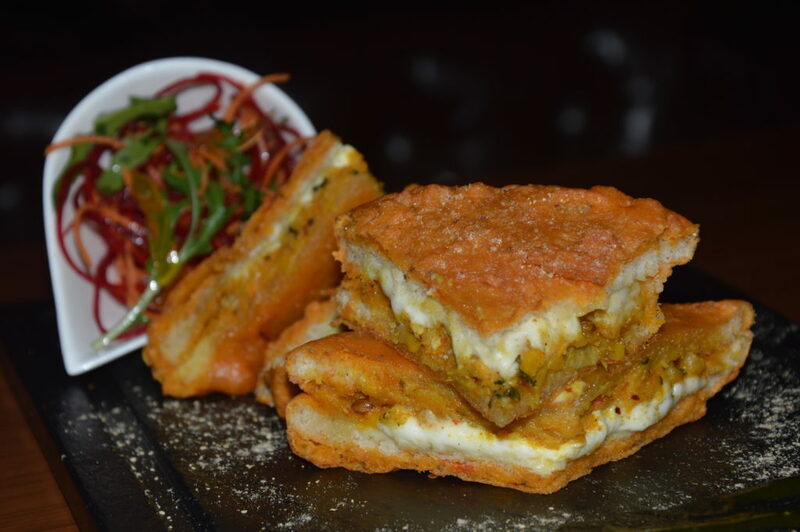 The Mozzarella Bread Pakoda, was an amazing modern take on the traditional bread pakoda. It was stuffed with potatoes and had an amazing cheesy filling which made it taste so different and yet appealing to the taste buds. 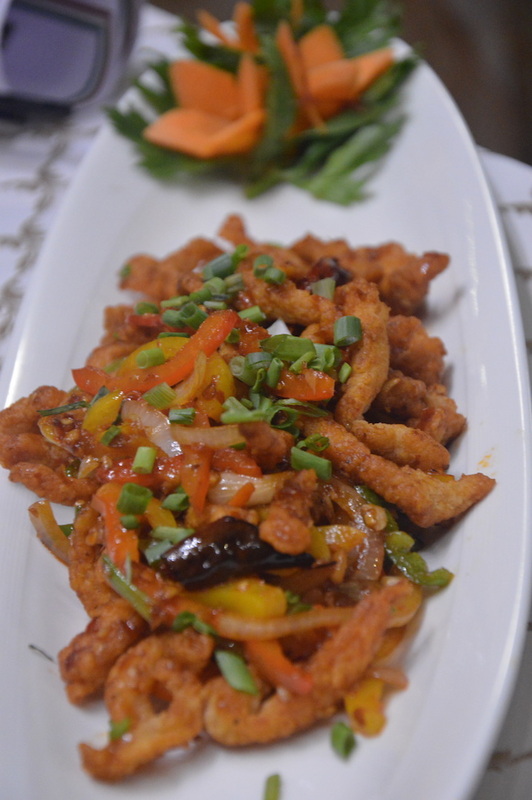 Its a great dish for vegetarians but even the non-vegetarians cannot ignore its goodness. 3 Cheese Soufflé in Potato Cup is an amazing dish and paradise for cheese lovers, just dig into the creamy cheese and balance its taste with roasted potatoes. Blissful. Rechad Masala Rawas, crispy fried fish fingers, with the fish marinated in the hot recheado masala, which is a goan special masala. The fish was perfectly done and I loved the presentation too. The Chutney Chicken Seekh also was very different from the regular seekh, it was made of thick mince and the flavours of the chutney really stood out well. 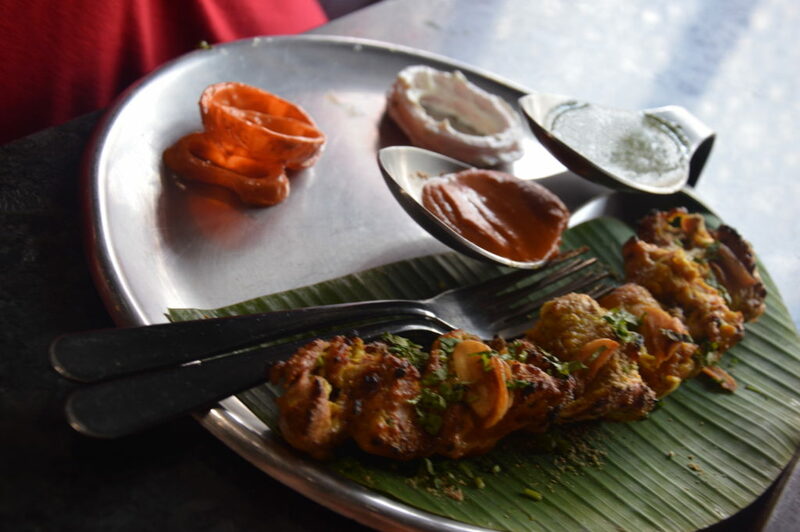 Next we tried Chicken Tikka Trilogy, which comprised of Mustard Based Chicken Tikka, Regular Chicken Tikka and Chicken Malai Tikka, and each one of the varieties of tikka tasted awesome. Though I am not at all fond of mustard flavour, but this mustard tikka was outstanding, the flavour was surely there but wasn’t overpowering at all. Roti, Chatni, Achar is another very unique dish, which serves an assortment of 3 different types of rotis and an array of chutneys and achars, a great idea indeed. I ordered for the non-veg version which had pre-baked khasta naan, missi roti, masala bread along with chettinad mutton pickle, fig chutney, kingfish pickle, mint chutney and onions. 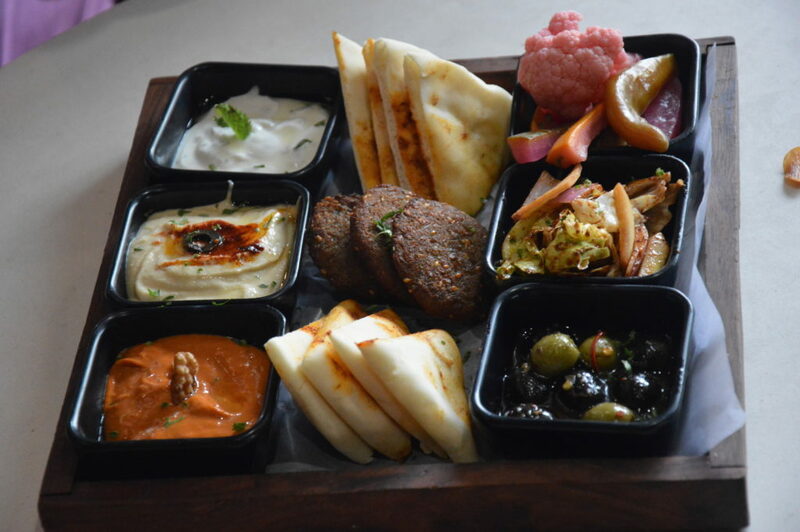 It was an amazing tray of various flavours. 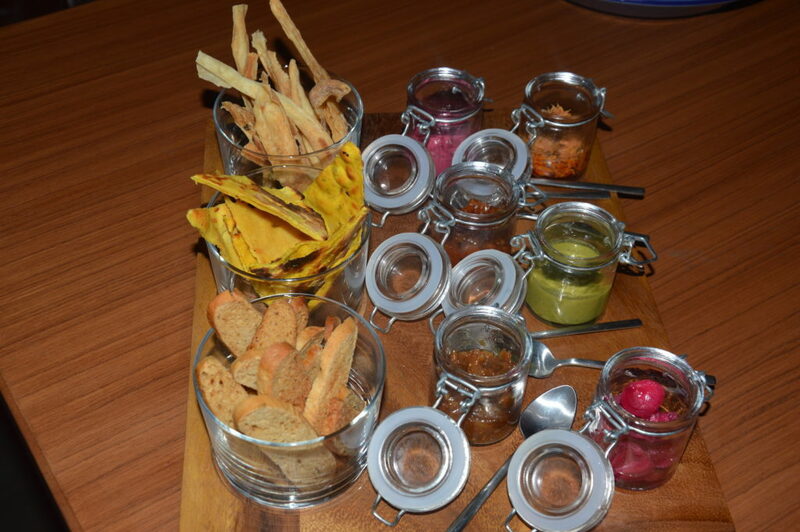 I loved the fig chutney the most. This surely is a must try dish. Mutton Gilawat Croquette was the another dish we ordered, and for me this was the most average , may be because my expectations by now were sky high. It wasn’t bad at all, but personally speaking I did not like much as I found it a little dry for my liking. For the mains we settle for Dal Makhani served with Chur Chur Naan, Mysore Mutton Thali, Quail Dum Korma and Corn Fed Char Siu Chicken. 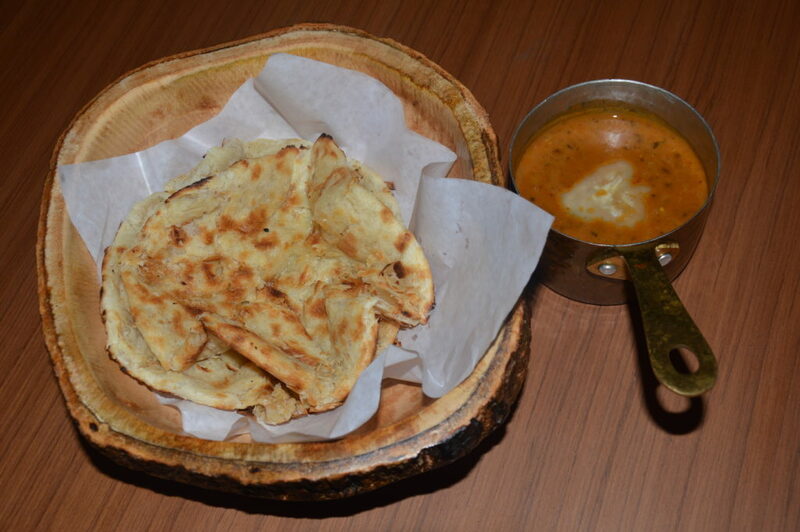 The Dal and Naan were a perfect combination, with right taste and textures. A typical udupi masala roast mutton served with malabari parantha is a delectable dish and surely a must try. 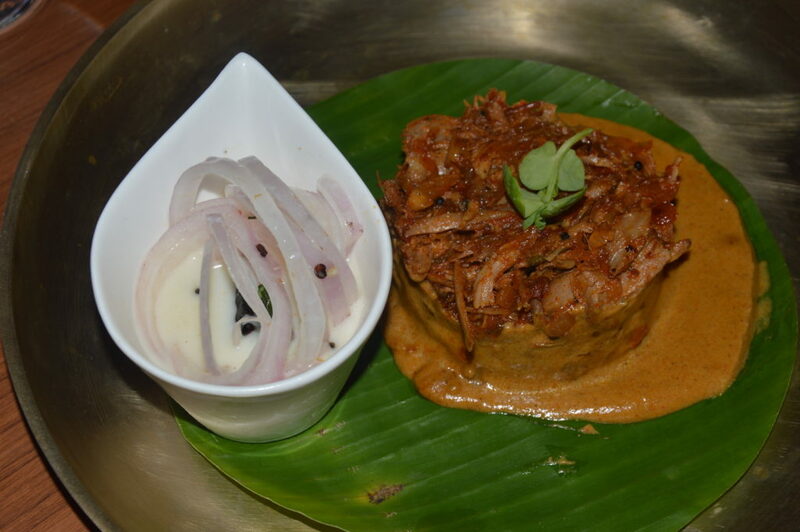 The Quail Dum Korma, needs a special mention as this is one dish you shouldn’t miss at all. 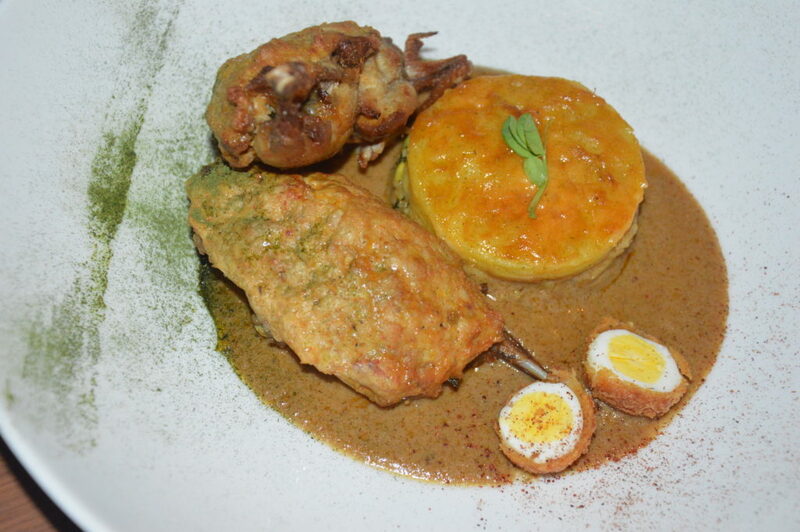 Very rich and authentic flavours and soft and tender meat of a quail, what more can one ask for. 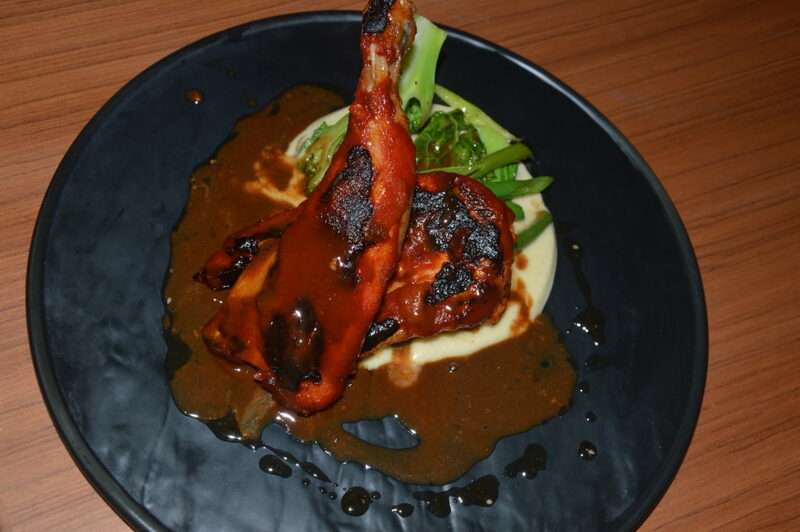 Siu chicken is perfect to satiate your Asian hunger, its a char chicken glazed with celery root sauce with some sautéed greens and mushrooms and makes for an exciting dish. Don’t forget to indulge in the desserts, you will love them. I strongly recommend Shahi Tukda and Holy Coconut. Both of them were simply amazing and I won’t spoil the surprises by spilling more details. You really have to try them. 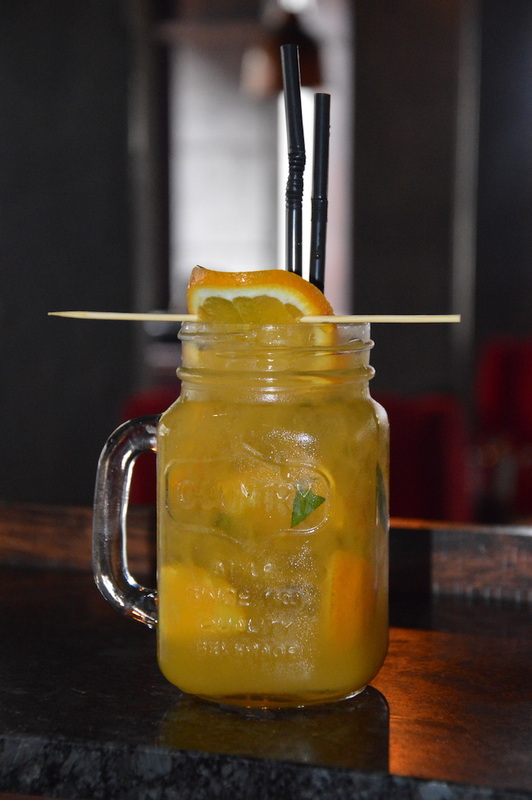 As the place still awaits its liquor licence, make most of the amazing mocktails and drinks available. 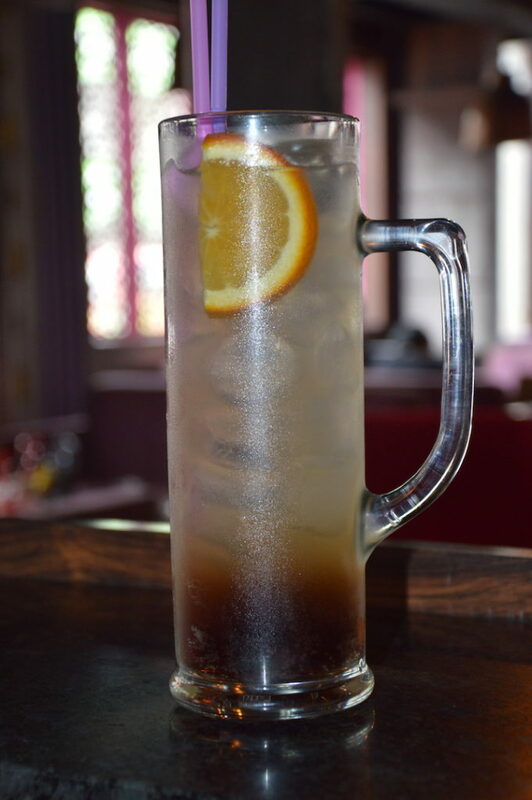 I recommend Indore Lassi, Tiramisu and Eden Iced Tea. They all were remarkable, but the best was the Indore Lassi, perfectly balanced taste, neither two sweet, and nor too thick, its was yummy and must be tried. A special mention for the hospitality of the place, from Chef Jiten himself to the entire staff, everyone was extremely friendly and warm. 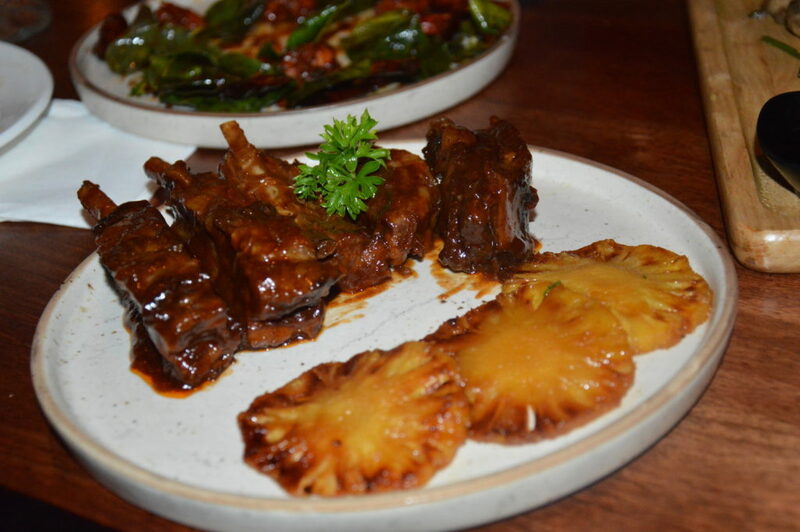 The service was upto the mark and like I said the taste of food and presentation is of superlative quality. You should definitely pay a visit soon. Posted in Restaurant ReviewTagged Ansal Plaza, Best Food Blog, Best Food Blogger, Delhi Food Blogger, Dine Out, Food Blog, Food Blogger, Food Review, Food Reviewer, Food Trends, Foodie, Places to Dine, Places to Eat, Places to Eat in Delhi, Restaurant Review, Reviewer, TrendLeave a Comment on This TREND is here to stay..!! 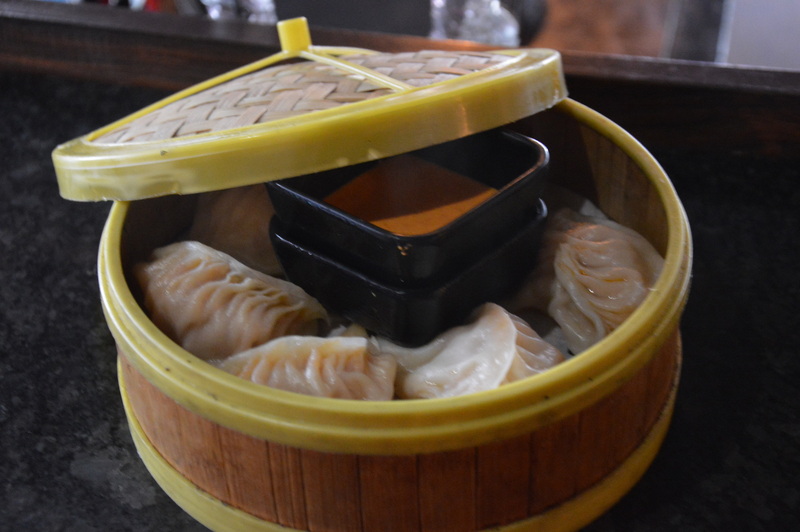 Chicken Steam Momos- really nice and juicy ones. I quite liked them. Foreign Cheese Pizza and Italian Cheese Pizza- nicely done, thin crust pizzas, perfectly spiced, and the toppings too were good. I enjoyed the chicken one a lot. 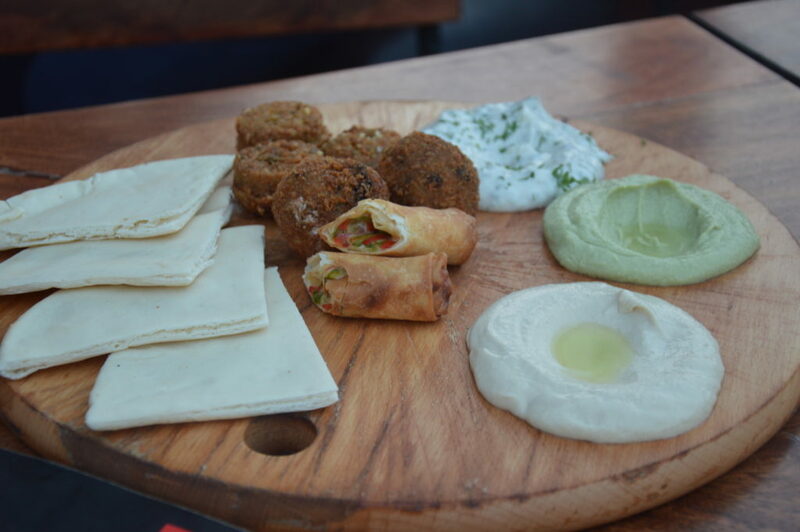 Middle East Bites- a platter that comprises of falafel, hummus, lebneh, fattoush, pita and mukhalal was totally worth indulging in. 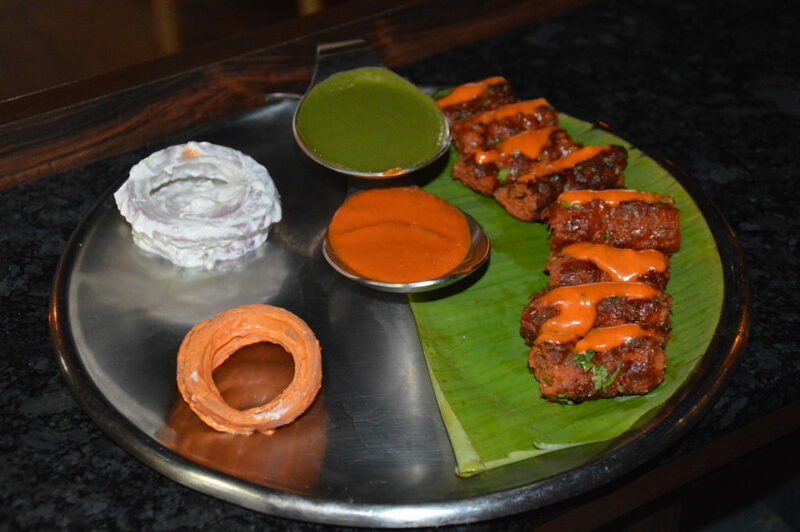 Rogani Seekh Kebab- tender and juicy mutton seekh kebabs, topped with a cheesy sauce, they were delectable. 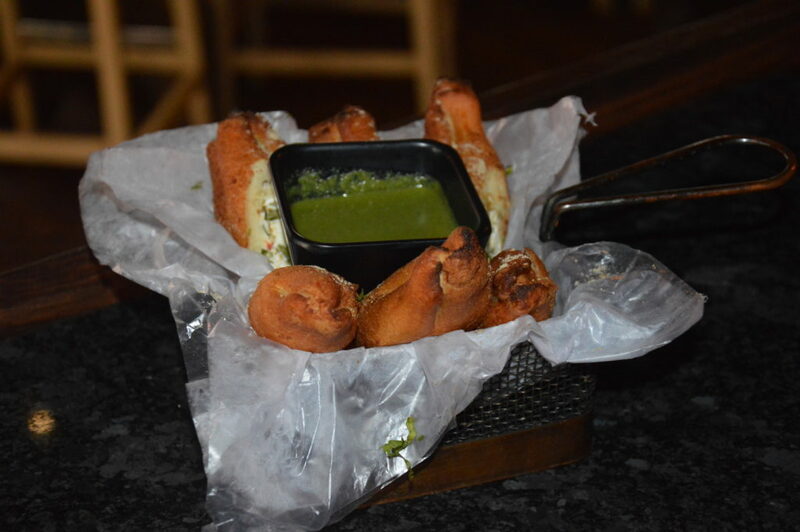 Mexican Jalapeno Pop- a must try dish, very cheesy and tasty, these will be loved by everyone. 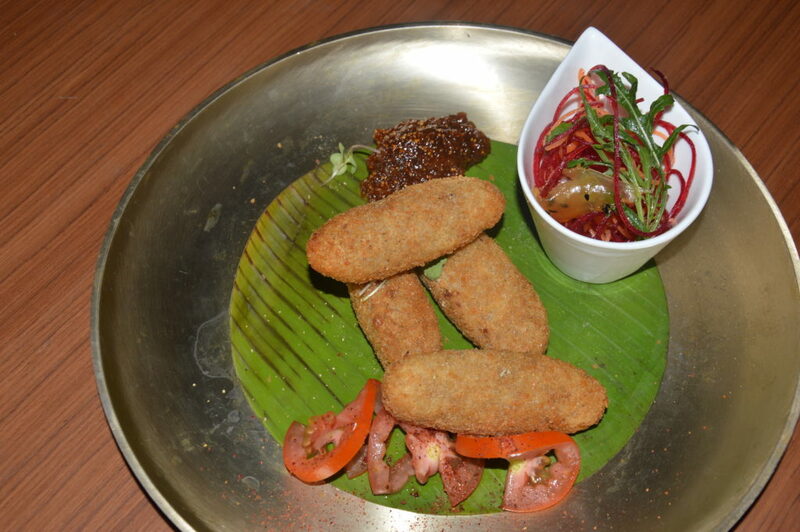 Dahi Kebab Drumsticks- dahi filing like bread rolls is how I can define these nice and delicious dahi kebabs. 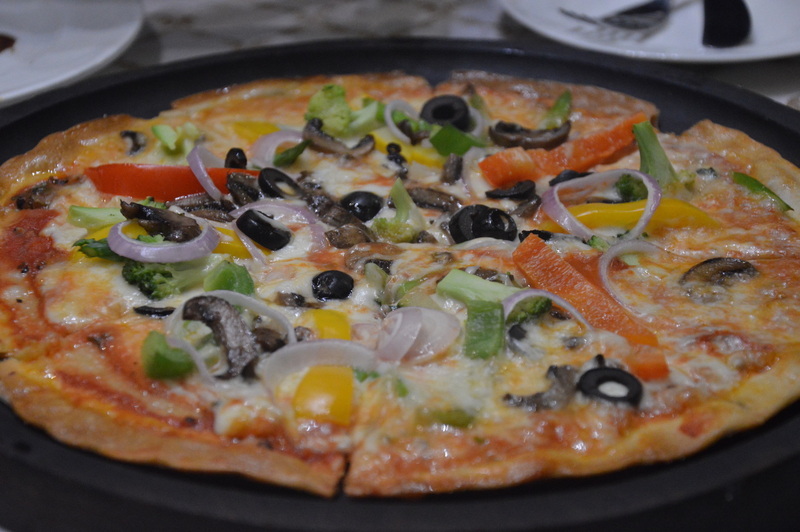 Vegetarians can definitely enjoy this. Cheesy Macaroni Veg Pasta- a typical mac and cheese, this was nice, but could have been spiced a little more, as I personally found it too bland for my liking. 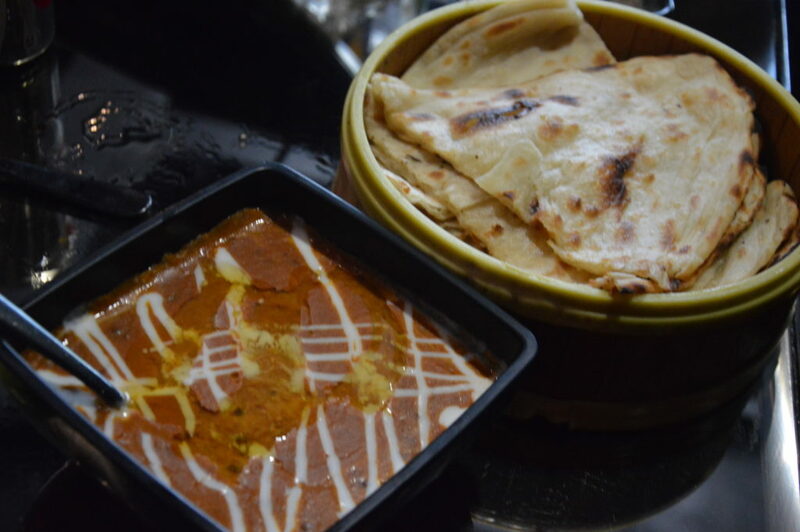 Dal Makhani and Butter Naan- good old favourite, as I was already too full with the starters, I just gobbled a couple of bites from this, but can say that the dal tasted perfect. 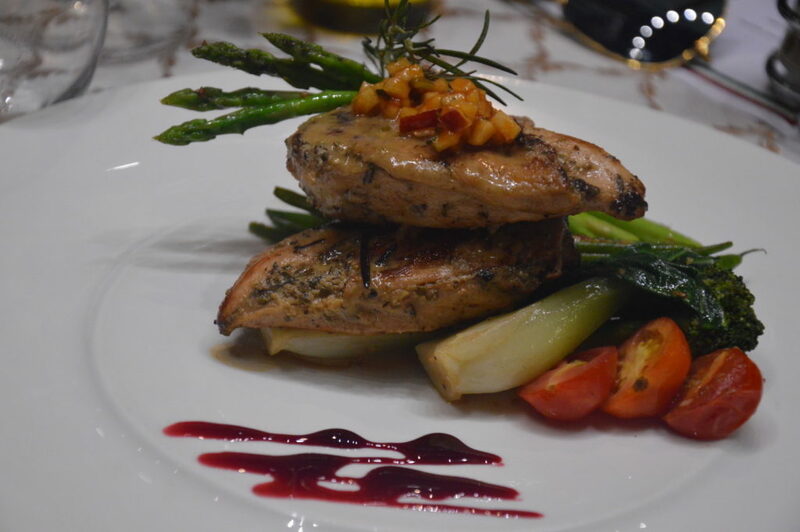 Puppy Grilled Chicken- this was a very nicely done chicken. The flavours were perfect and must try this one. 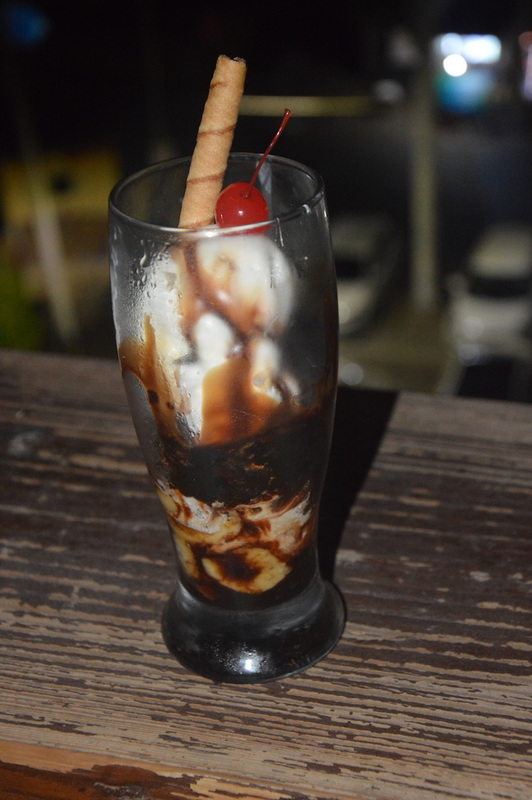 Double Dense Chocolate – its a perfect dessert for chocolate lovers. 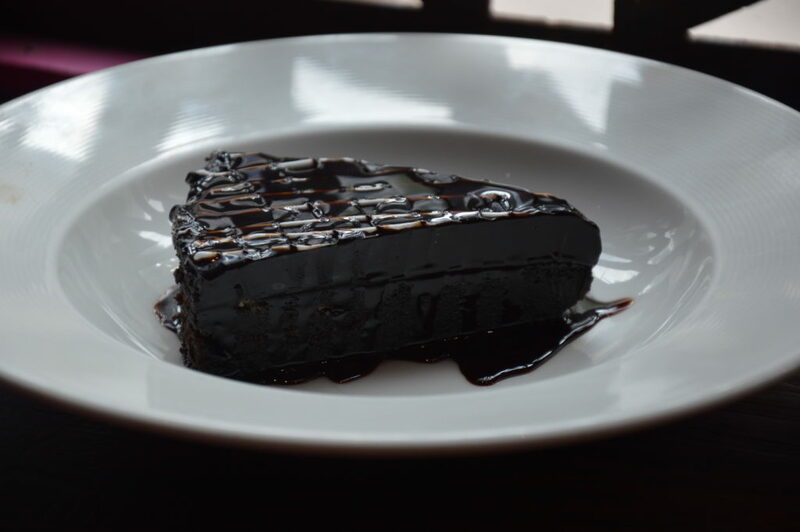 A dense and moist chocolaty cake served with vanilla ice cream. The drinks too were good and they have good options in both mocktails and cocktails. 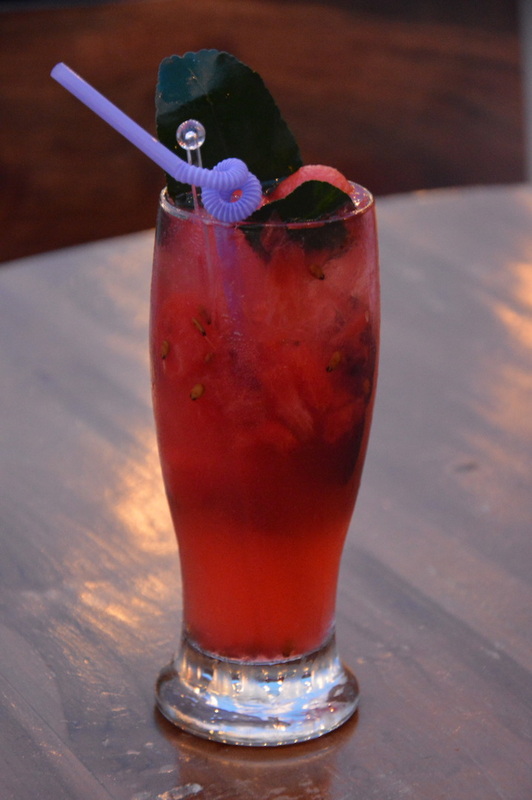 Try the LIT Khamba, Whisky Sour, Watermelon Mojito, Summer Directions and Rang De Basanti. 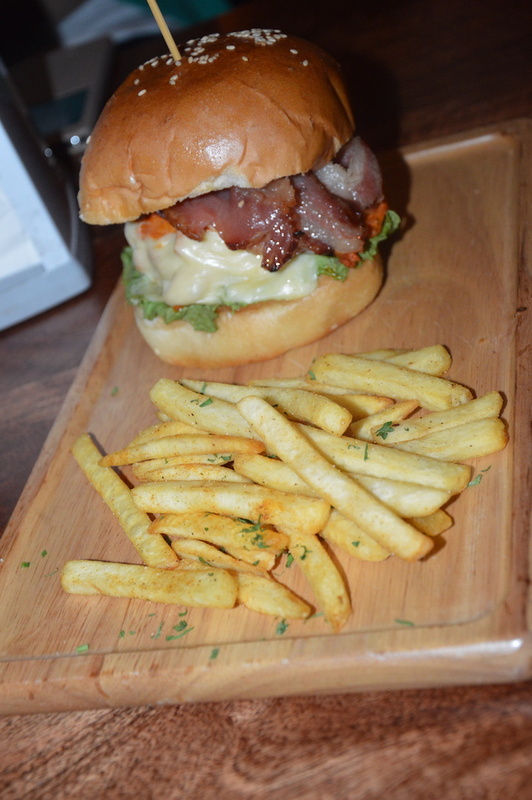 Overall it was good fun indulging in food and drinks at Hotmess, and you must give it a try. Posted in Restaurant ReviewTagged Best Food Blog, Best Food Blogger, Delhi Food Blog, Delhi Food Blogger, Dining Places, Food Blog, Food Blogger, Food Review, Food Reviewer, Places to Eat, Places to Eat in CP, Places to Eat in Delhi, Restaurant Review, Restaurant Reviewer, What to Eat1 Comment on Hotness at Hotmess..!! 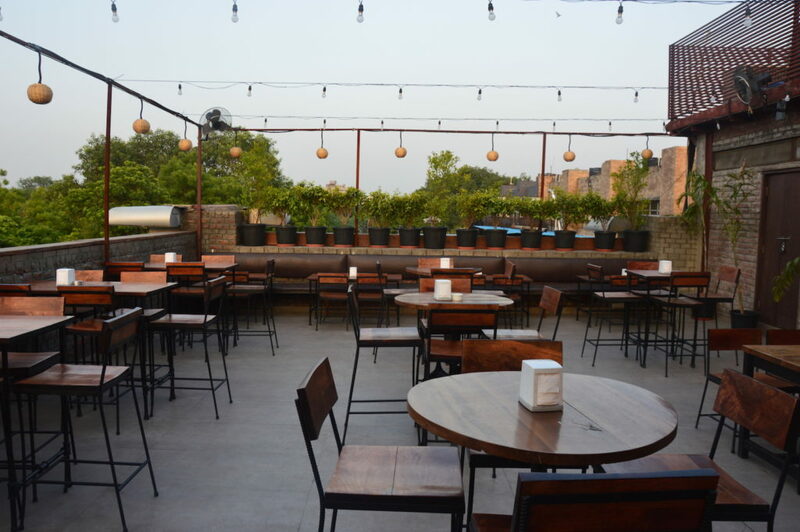 Located in the Aurobindo Complex, Hauzkhas, this place has by far one of the best terraces that I know of. Once you climb up, trust me you don’t want to leave. The view is just awesome and even when its hot out there, they have amazing mist fans, that make you feel as if you sitting in a hill station. 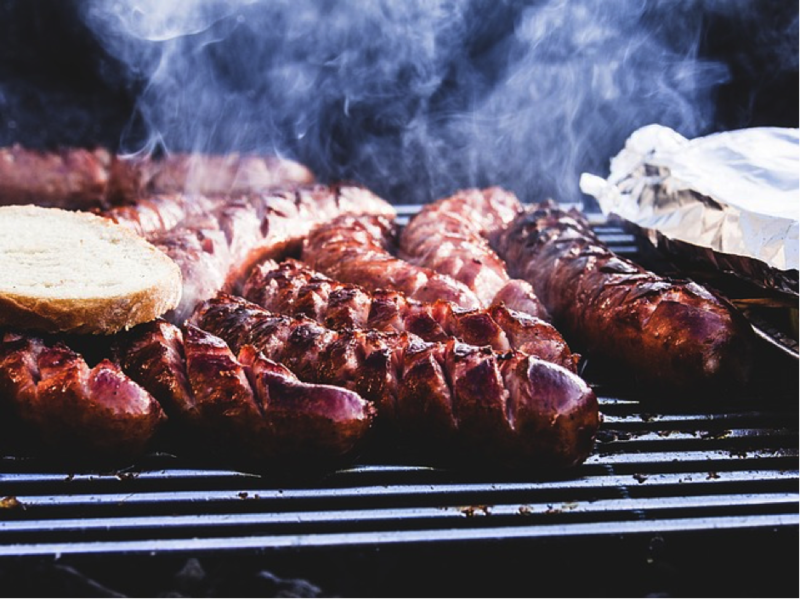 Coming to food, they offer European and Continental food with main focus on finger food and smaller plates and burgers, pizzas, hotdogs make for the mains. 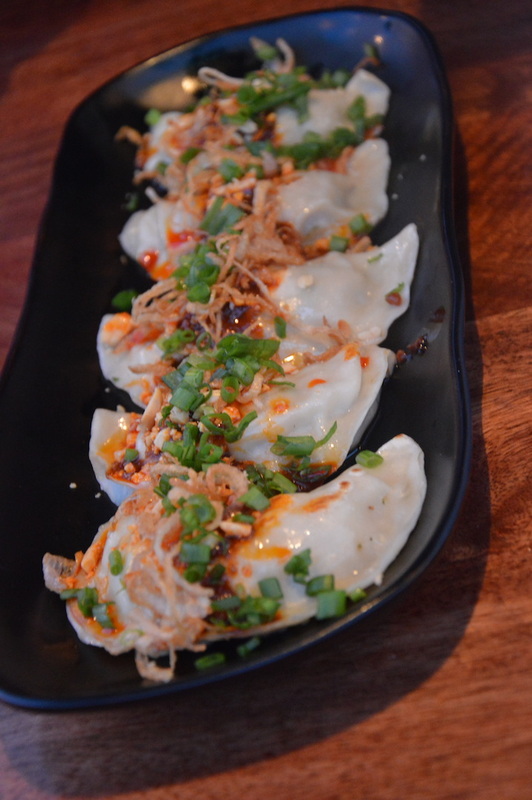 We started by ordering Thai Style Chicken Wings, Spicy Kafir Lime Fried Chicken and Sichuan Style Gyoza Dumplings. The wings were nice and juicy and I really liked them. The Kafir Lime Chicken was overpowered with the kafir lime flavour and spices, and hence I did not like it much. The dumplings were good, but I wish the filling was spiced a little better. Followed this was the Chicken Caesar Salad and Roasted Beetroot, Pumpkin, Rocket Leaves & Feta Salad and both the salads were awesome, especially the Beetroot salad, absolutely refreshing and flavoursome. 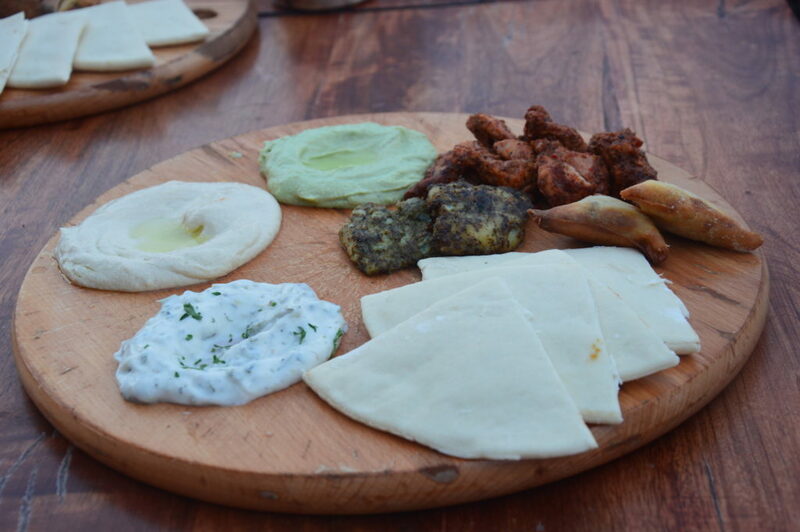 Next we settled for the Mezze Platter, both veg and non-veg and both were delicious. 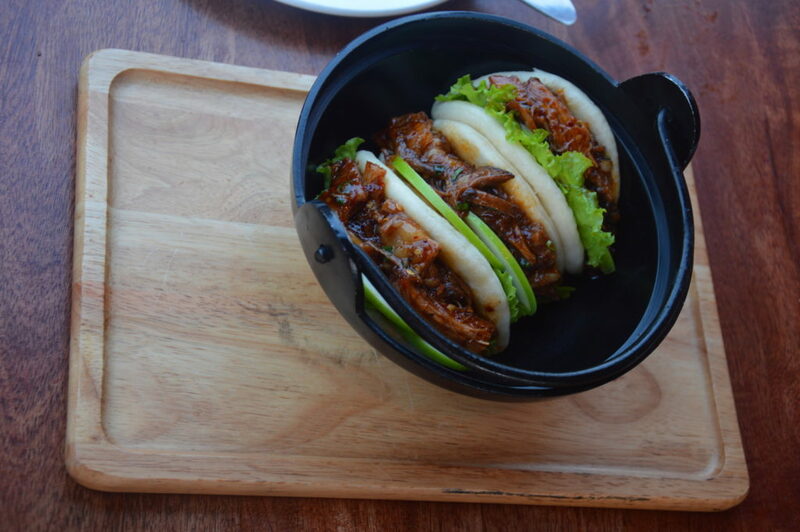 BBQ Ribs and Sichuan Pepper Pork Bao with Green Apples, these both were the winner dishes. You really can’t miss them. The Ribs were so delicious and juicy and so was the bao. The green apple added a different layer of flavouring to the juicy pork, which was a nice change. 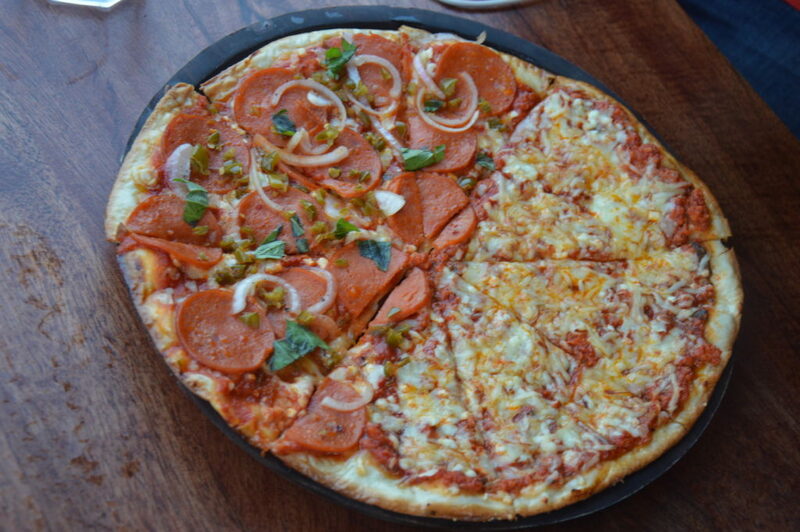 We tried a half and half pizza with Double Pepperoni and Bolognese Smoked Cheese and also the BBQ Chicken Pizza. 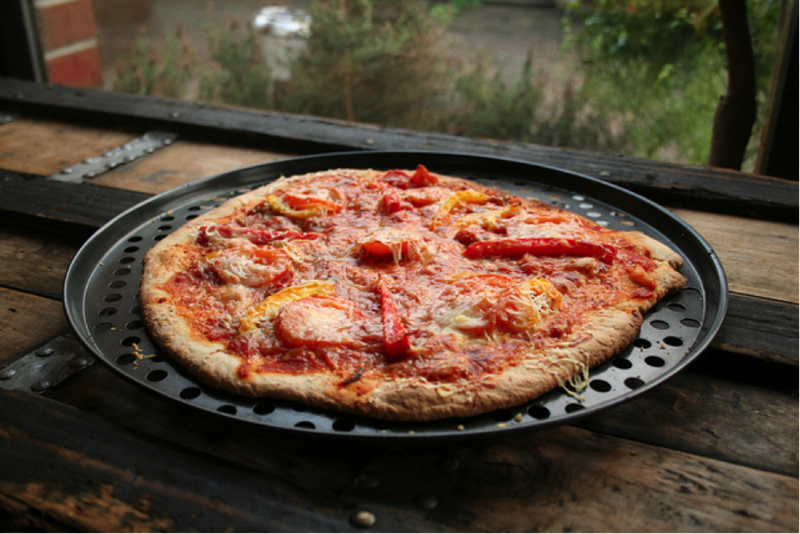 The pizzas were superb. 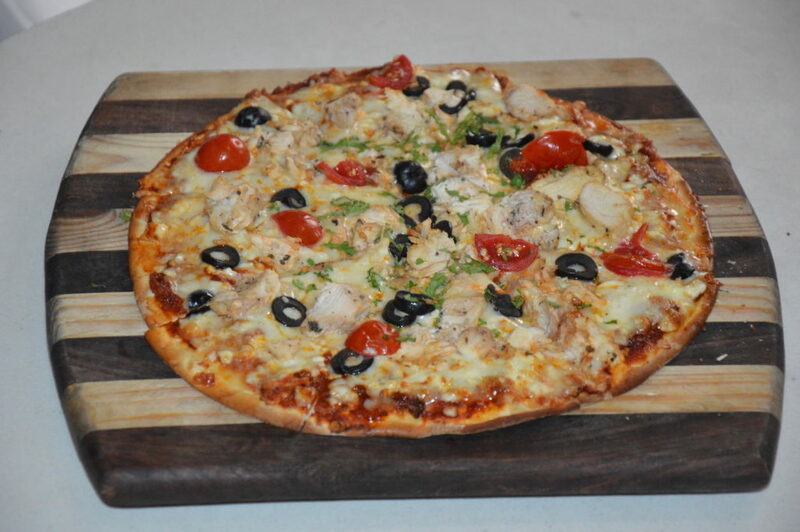 Thin crust, crispy and the toppings were great. I loved all three flavours and its hard to choose which was the best, but if I have to be partial even by 1 percent, it would be the BBQ chicken pizza. 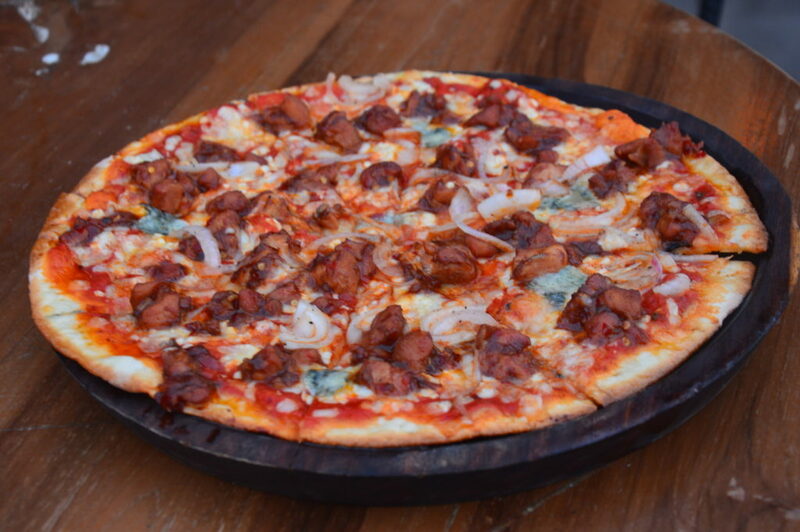 BBQ Chicken, Caramelised Onions and Blue Cheese, made for a deadly combo. 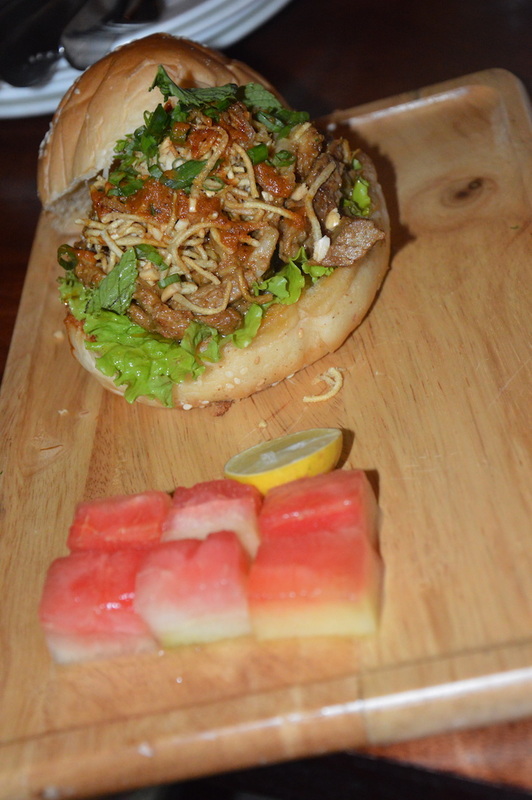 For burgers, we tried the Pulled Tandoori Chicken and Bacon Burger & the Pulled Pork Khao Suey Burger. I was personally a bit disappointed with the tandoori chicken burger, as it did not meet my expectations. Can’t say that it was bad, but somehow it did not gel well with my taste buds. The pork burger was definitely a good one. 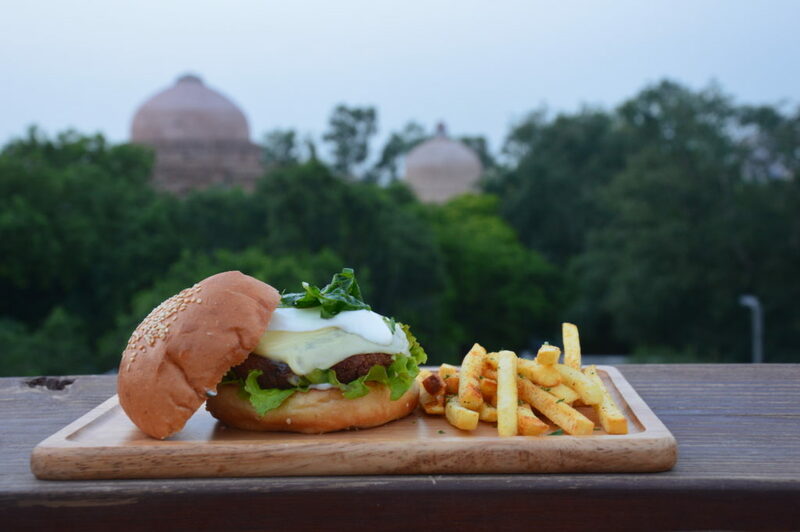 Even the vegetarians have the Beetroot burger to look upto, my friends said it was awesome. For drinks I tried the Spicy Mango, followed by a Water Melon Mojito and both were really good. For desserts we tried the Poached Pear and Apples with Rum Soaked Sultanas, Raspberry Puree and Ice Cream and also the Bandstand Chocolate Brownie Sundae. Both the desserts were nice but could have been a little better. 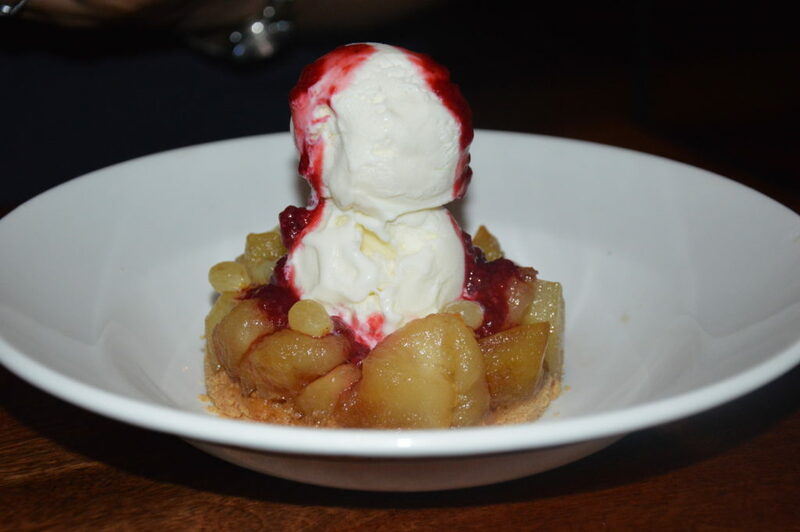 The Poached Pear dessert was definitely more innovative and tasty than the brownie sundae. The brownie sundae wasn’t bad at all, but it was just a regular dish. This place surely calls for a visit if you haven’t been already, and a visit again, if you have been there before. I thoroughly enjoyed my time here and especially the ambience was so good at the terrace that I wanna go again soon. Bandstand also keeps bringing great artists from time to time, so if you love music, this is the place for you. Posted in Restaurant ReviewTagged Best Food Blog, Best Food Blogger, Dining Places, Food Blog, Food Review, Food Reviewer, Hangout Places, Places to Dine, Places to Eat, Places to Eat in Delhi, Restaurant Review, What to Eat, Where to EatLeave a Comment on The Bandstand Experience! 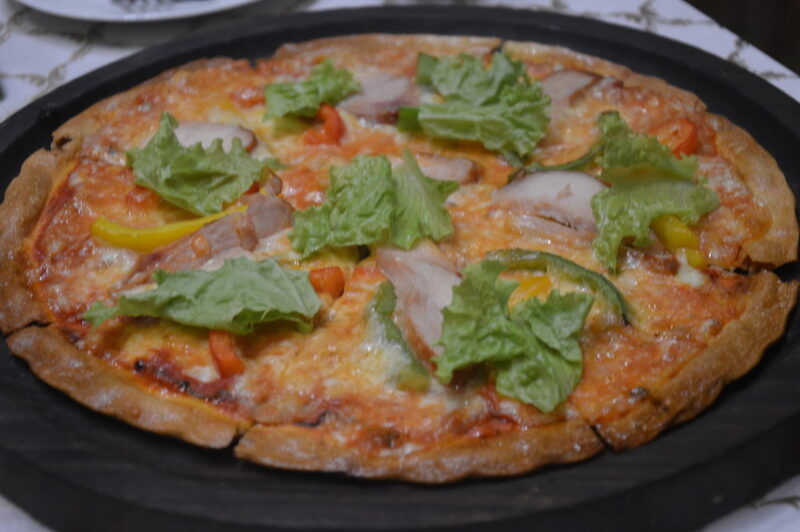 Come summers, and almost every restaurant comes up with special menus, and we surely need them, because we need a reason to celebrate summers, and what better than food. 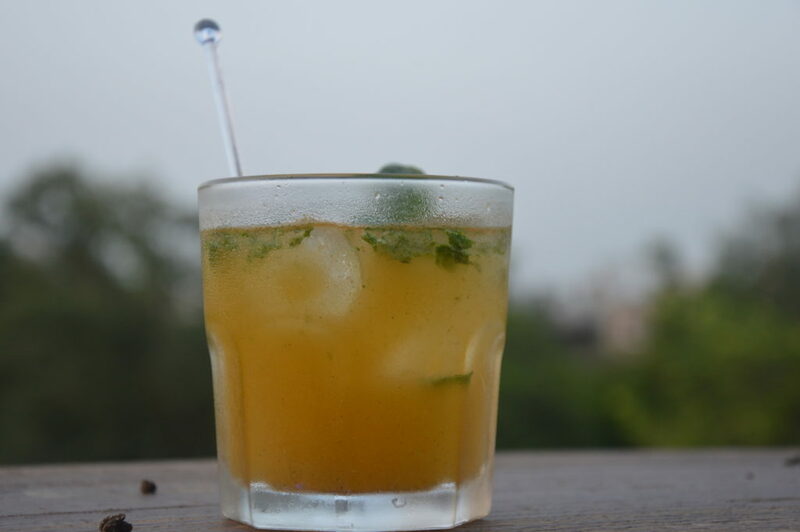 When talking of food and summers, its difficult to ignore mangoes, and keeping this combination in mind, Imperfecto came up with an AAM Menu. 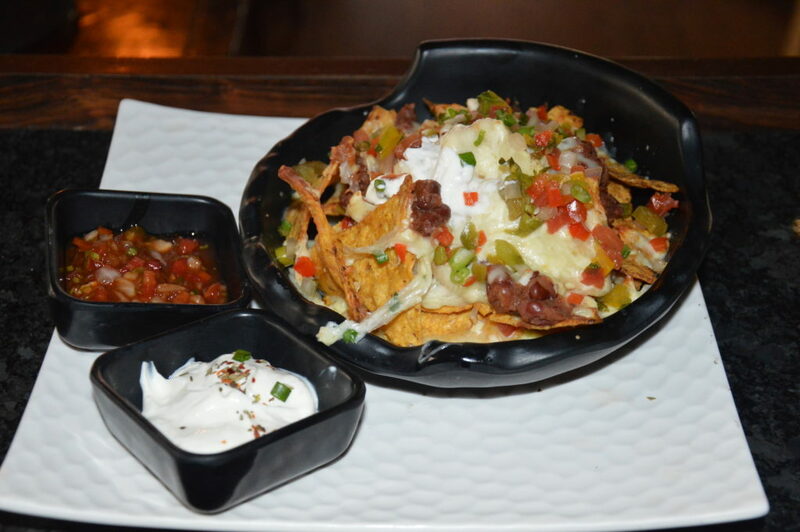 To try this menu, I went to the Sector 38 Noida outlet, and first things first, you cannot ignore the ambience of this place. Right from the moment you step into the restaurant, the spaciousness, the decor, everything takes on you. Explore the place which is spread across almost three floors, as the terrace itself as two levels, and what a terrace, words cannot justify the beauty of this place, you really have to visit and see for yourself. 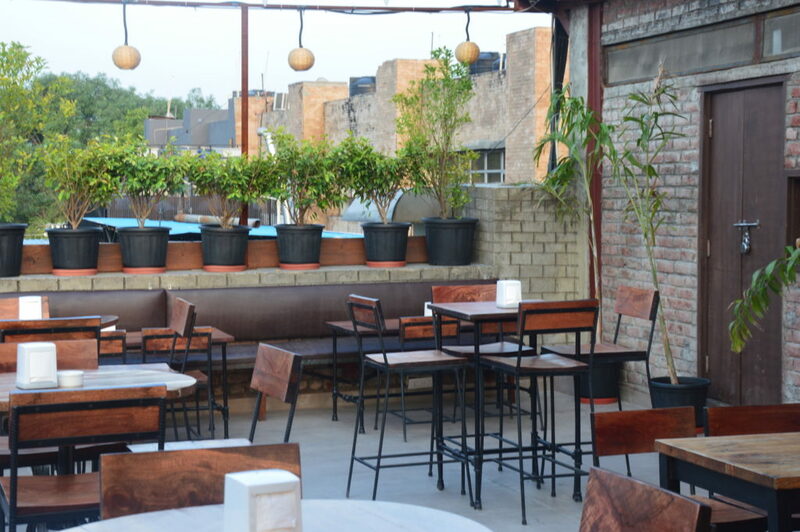 Lush greenery, amazing artistic pieces, comfortable seating and a great view, it has all. Now coming to the food, the mango menu, had a great mix of salads, appetisers and main course dishes along with specially curated cocktails and mocktails. 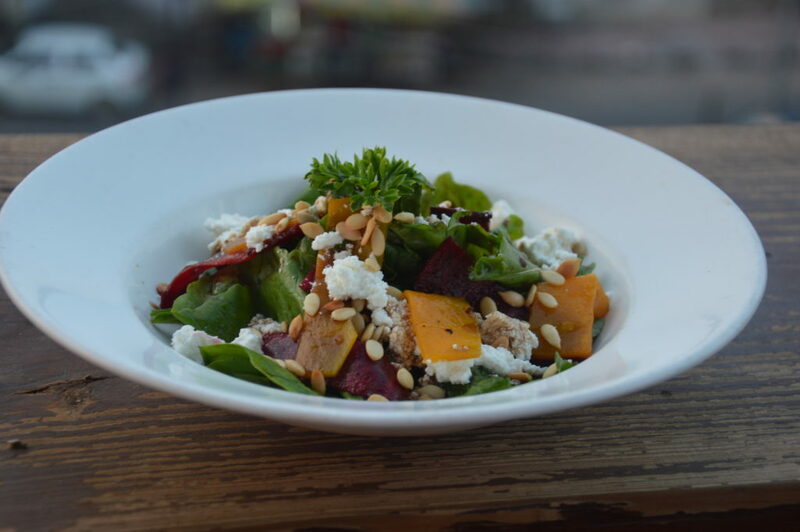 To beging with the 3 course meal, we first tried the salads, Alphonso Mango Salad and Street Cart Mango Salad. The alphonso mango salad as the name suggests was prepared using alphonso mangoes and was on a sweeter side because of the obvious reasons, but was very refreshing. It had some apples too. Having alphonso mangoes is always a treat and I really enjoyed this creation. The Street Cart Salad, on the other hand was sweet and sour, striking a balance between flavours especially with the presence of capsicum slices in the salad the taste was well balanced. I enjoyed both the salads to fullest. I enjoyed these salads with a glass of Mangoberry, which was an amazing mocktail made with fresh mango pulp, mint and a hint of lime. Coming to the appetisers, its really difficult to say which one was the best, as each one of them was amazing and trust me I mean it. Mango Chicken Tikka was simply delicious, chicken tikka grilled to perfection with a nice tangy mango sauce, an unusual combination but amazing tastes. 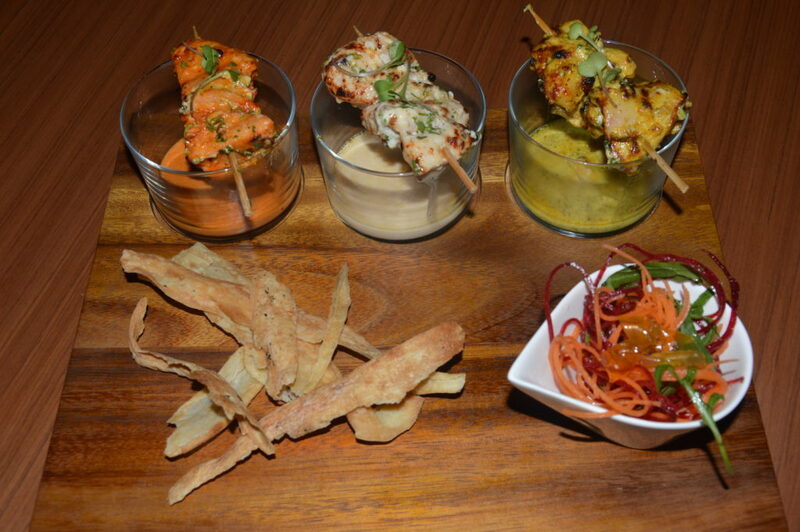 Both the tandoori flavour of chicken tikka and sweetish tanginess of mango complimented each other. 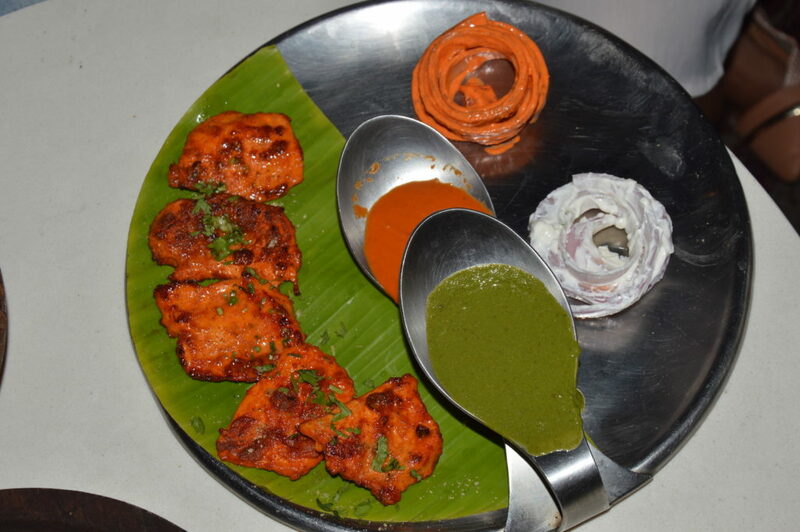 Grilled Chicken with Mint Sauce was one of the best dishes I have eaten in recent times, such tender and juicy chicken chunks with dollops of mango sauce and green chutney, it was more than delicious. The sweetness of mango sauce, the spiciness of green chutney and the juices of grilled chicken, overall made it melt in a mouth experience. Stuffed Chicken with Mango was another flavoursome dish and I really liked it. For vegetarians, there was Stuffed Cottage Cheese with Mango and Grilled Paneer with Mango Chutney, I tried a bit of both of these dishes, and they were amazing. 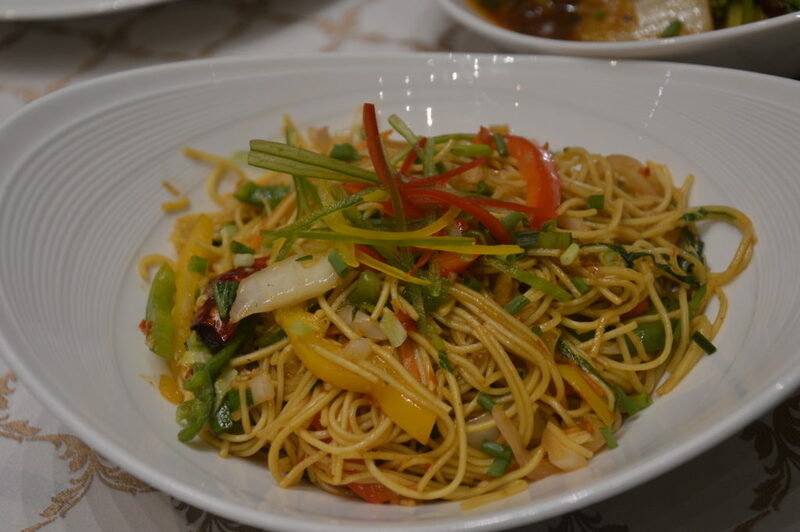 For the mains, we had Malaysian Style Mango Chicken Noodles and they were amazing. Though the mangoes were really sweet in themselves, but the overall spices balanced the taste well, and not even a single dish looked or tasted a forceful fit of mangoes. I wish they had included some desserts to this AAM Menu, but sadly there weren’t any. 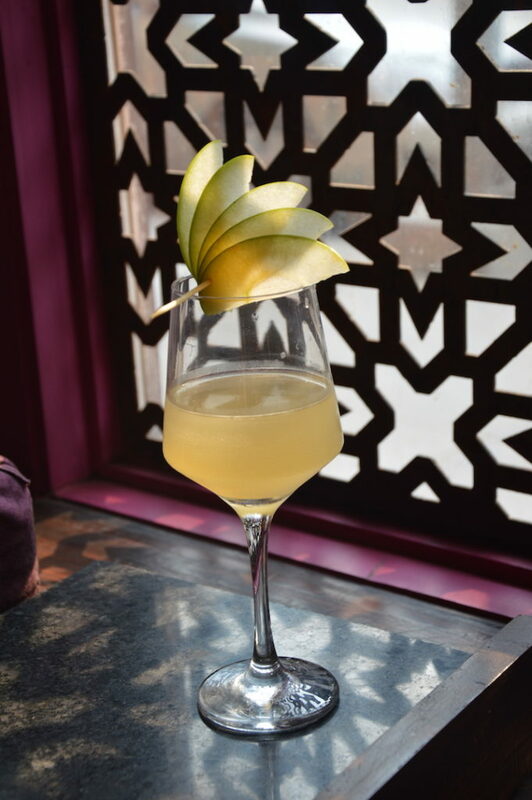 Nevertheless, this mango menu trial should definitely be on your list and its available all across the Imperfecto outlets. So hurry up, offers valid till mangoes last! Scooter Scooter on the Wall…!! Scooter on the Wall, as amusing as its name, is a cosy and comfortable cafe situated in the ever bustling SDA market. Though they don’t have much of space, but its really a chilled out place to spend some cosy time. I loved the seating, ambience and decor of the place. Along with couches, they some typical jhoolas, both single seaters and sofa type swings, and they really make for an interesting seating option. The place is really vibrant and so is their food. To begin with I ordered, American Fries with Tandoori Dip, served on their signature scooter, the tandoori dip made all the difference to the regular fries. They were as yummy as they looked. Chinese Bhel was next, though the taste and flavours were great, I wish the noodles were a little crispier, or may be because of adding sauces it turned soggy too soon, so that was a bit of draw back. Shishtouk was up next and I quite enjoyed relishing it, the pita bread was soft and the chicken really juicy and tender. 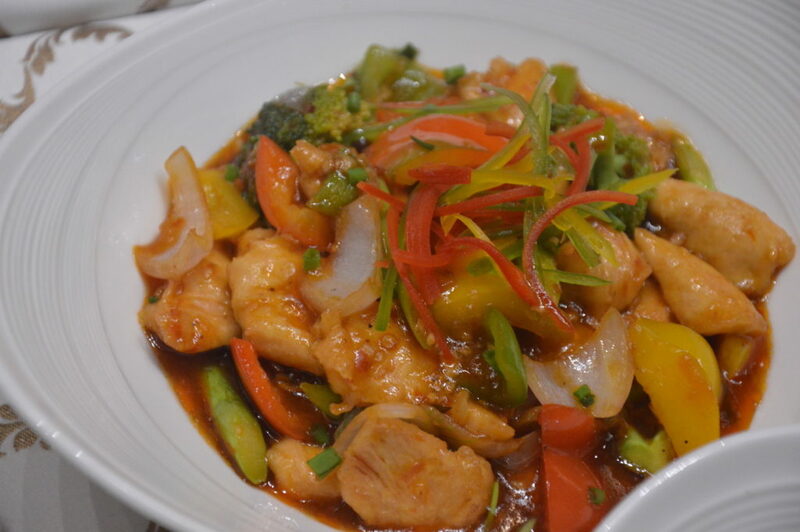 Also tried the Kung Pao Chicken, which was nice but a bit spicy. Mewari Papri Paneer was a delicious preparation, coated with crispy papads, it was both crispy and crunch on the outside, with soft paneer inside. Lahori Kebab Chaat was a unique preparation of seekh kebab and chicken tikka tossed in masala curd sauce just the way regular chaat is done, it was nice and different, I quite liked it. 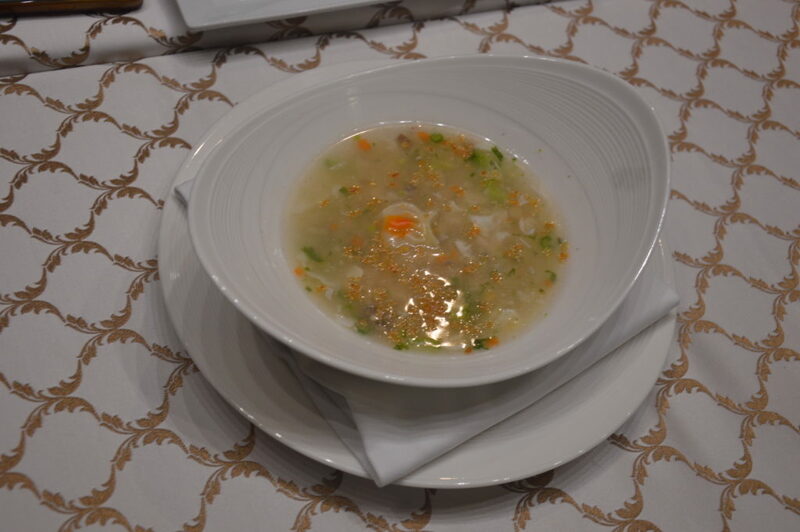 The taste was fresh, and for me it gelled well with the seekh and chicken tikkas. Chicken Burra, Black Pepper Fish, Butter Chicken Kulchas and BBQ Hot Garlic Wings were all great delightful preparations, I loved each one of them. 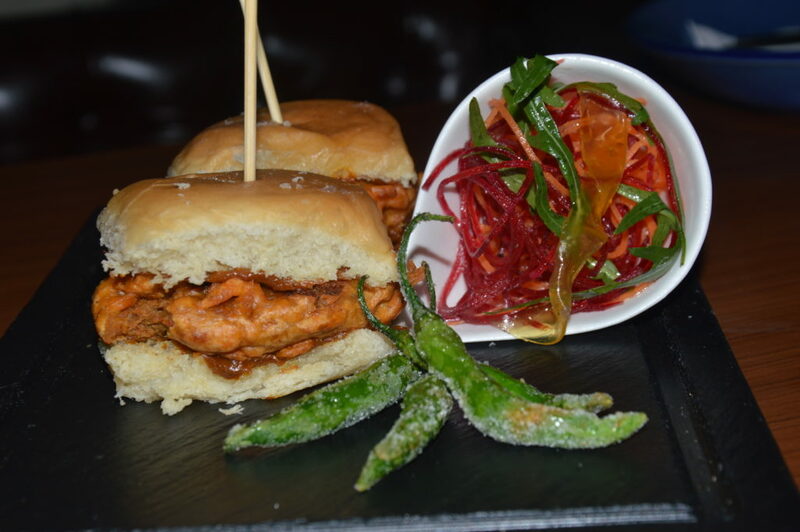 The chicken burra was juicy and perfectly spiced, the butter chicken kulchas are definitely a must try. 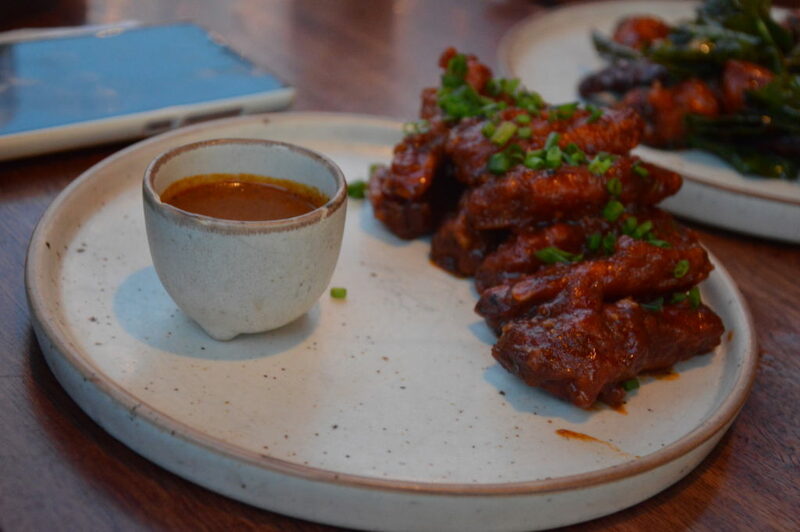 The BBQ wings too were great to taste and I loved the fish, it was so tender and tasteful. For the mains, I tried the 3 Musketeers, a platter of sliders, 1 chicken, 1 lamb and 1 veg and trust me all of them are great. I personally loved the lamb slider the most, it was so so juicy and nice, that I really could go on and on with it. This is a must try. Desi Ride with Kukkad Pasta, was another delectable dish and it was something I did not try before, pasta in butter chicken sauce, desi twist to the age old Italian favourite, it was delicious. Though I was reluctant to try, but one bite into it and I could not keep my fork off it. We also tried the Mutton Maratha, Palak Corn, Malai Chaap and Dal Makhani, and again all of them were delicious. The mutton was perfectly cooked and I loved its thick masala. 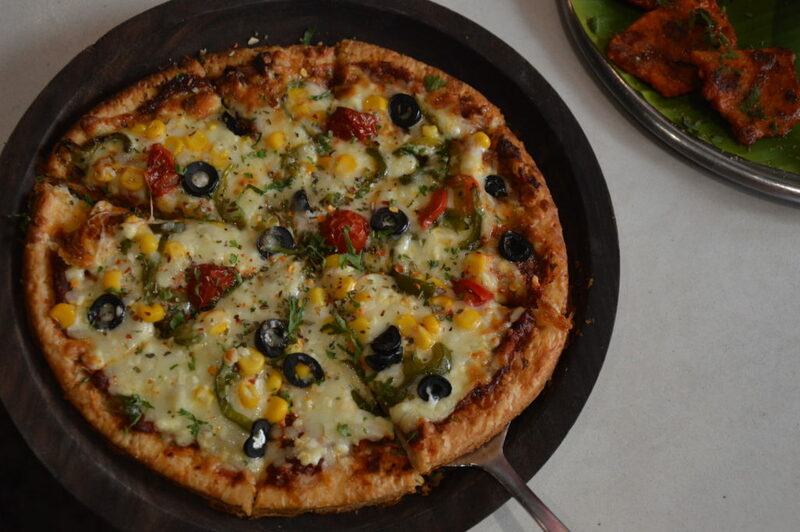 Palak corn is surely a good option for vegetarians, and Dal Makhani of course was great. Perfect creaminess and texture. Enjoyed these amazing dishes with some assorted breads like the Onion Tandoori Roti and Mirchi Parantha, and it truly made for a scrumptious meal. 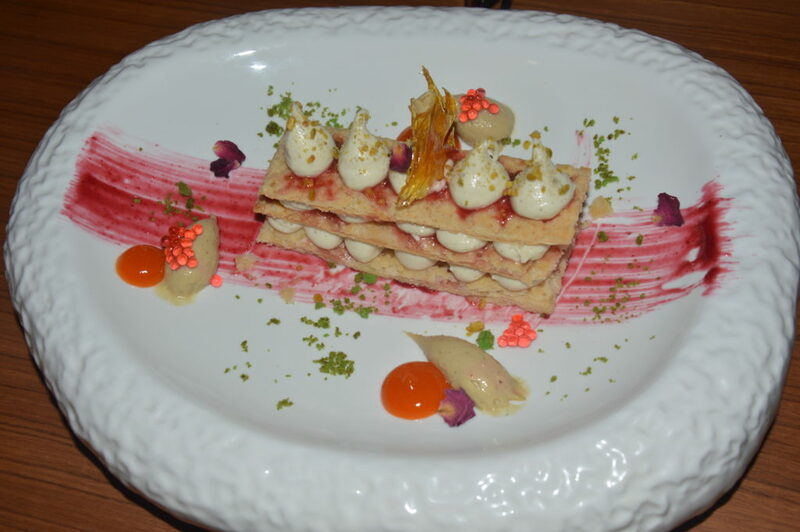 Now coming to the best part, the desserts, you simply cannot afford to miss them. Chocolate Walnut Pie was definitely one of the best desserts I have eaten, the pie crust was so soft and perfectly baked, unlike mots places where the curst is so hard, this was really nicely done, easy to break into and bite. I loved it. 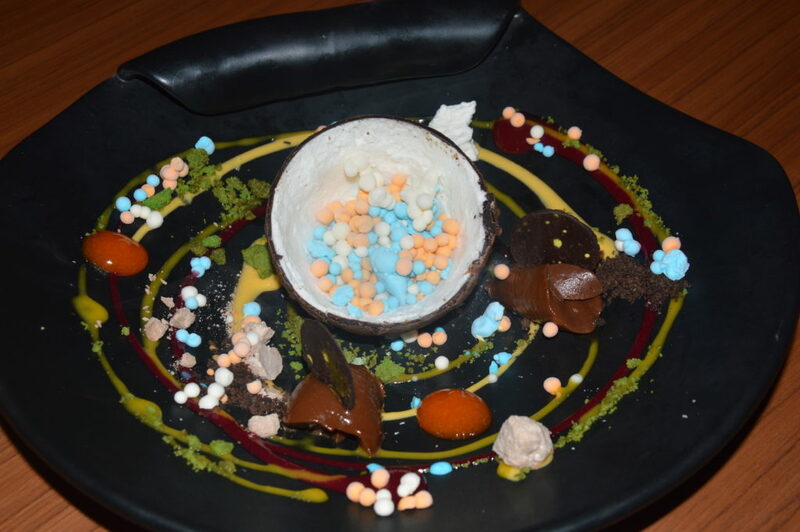 The Chocolate Truffle with Vanilla Ice Cream was another dessert and a great preparation indeed. Warm chocolate truffle crumbled and served with vanilla ice cream, it was a perfect combination of tastes and textures and even temperatures. 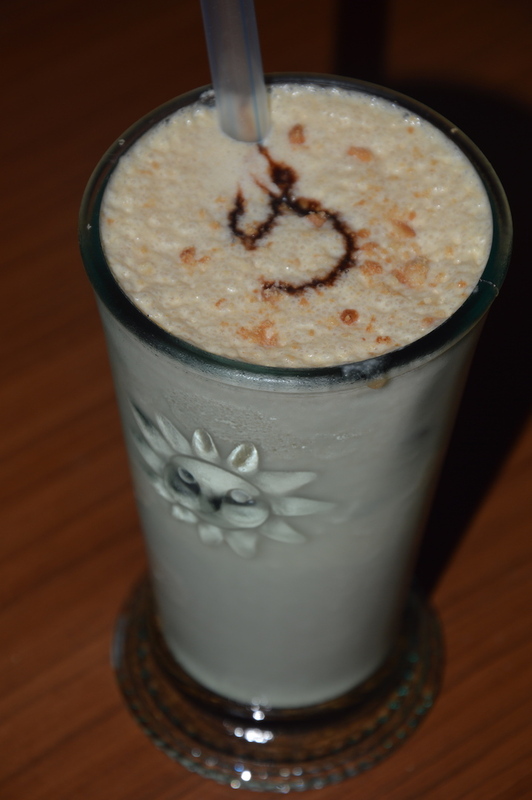 Also at Scooter on the Wall, you cannot ignore their awesome shakes, they are a true delight. 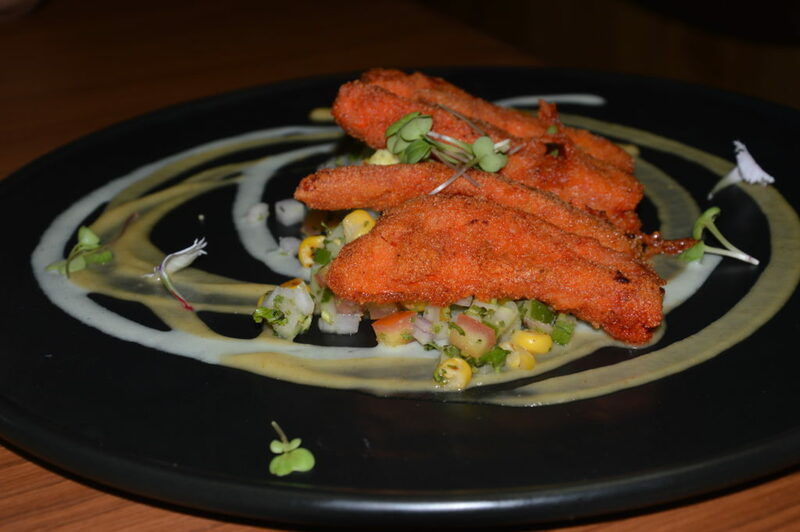 Amazing flavours and presentation make them drool worthy and they are totally worth the indulgence. 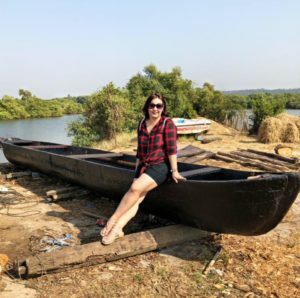 I loved my experience overall at Scooter on the Wall, and really look forward to visiting the place again. If you haven’t visited yet, what are you waiting for..? Posted in Restaurant ReviewTagged Best Food Blog, Best Food Blogger, Delhi Food Blogger, Eating Food, Food Blog, Food Blogger, Food Review, Food Reviewer, Foodie, Places to Dine, Places to Eat, Places to Eat in Delhi, Restaurant ReviewLeave a Comment on Scooter Scooter on the Wall…!! If you want to enjoy good food and spend some cosy and comfortable time with your friends and family, The Town House Cafe is the place for you. The decor is minimalistic and comprises of huge and comfortable sofas, and some big windows overlook the busy outer circle of CP. I spent a rainy afternoon enjoying the delectable food with a few of my friends and I totally loved the experience. Chicken Salami Tacos, a very nice preparation with chicken tikka chaat with some veggies wrapped in a chicken salami and shaped like a taco, its definitely a must try. 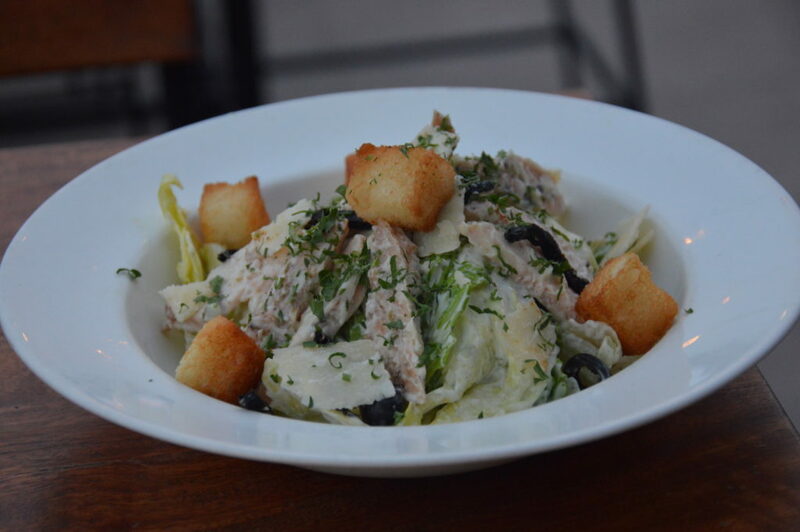 Poached Chicken Salad with Wasabi Dressing was another great starter. Though I am not very fond of wasabi dressing, but thankfully it wasn’t really overpowering the overall flavours and hence I liked it. Chilly Chicken, Chilly Prawns and Chilly Paneer were all very good, hot and spicy, and when I say spicy, I really mean it. So those who don’t prefer spicy food, shouldn’t order these. 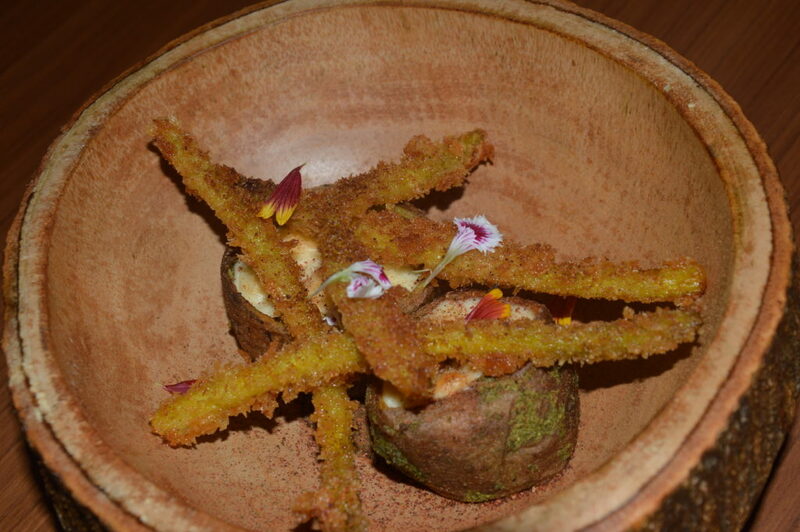 I loved the prawns very much, so so delectable. Chicken Seekh, Chicken Malai Tikka, Paneer Tikka, Mutton Galauti, Mutton Seekh, The Non Veg Platter are totally worth indulging in. 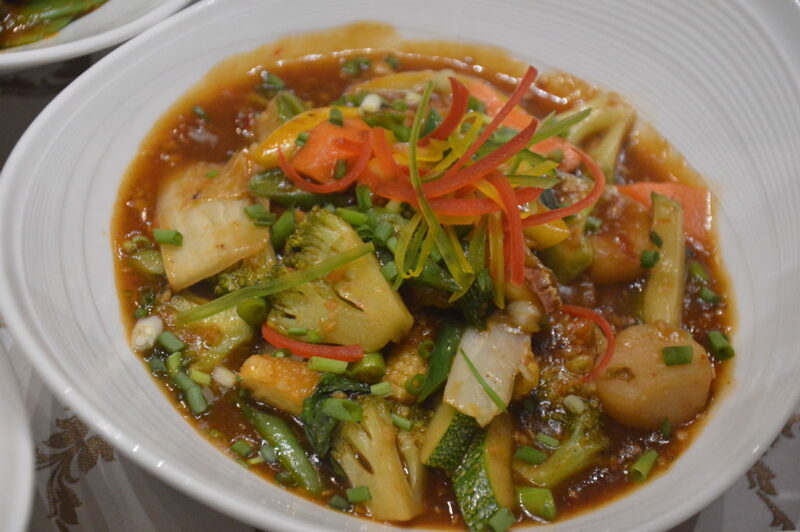 Soft and tender meat, perfect spices, these dishes are any non-vegetarians delight. The dishes I loved the most included the Chicken Bruschetta, Chilli Garlic Chicken Dimsums, Hoisin Chicken Dimsums and Falafel. 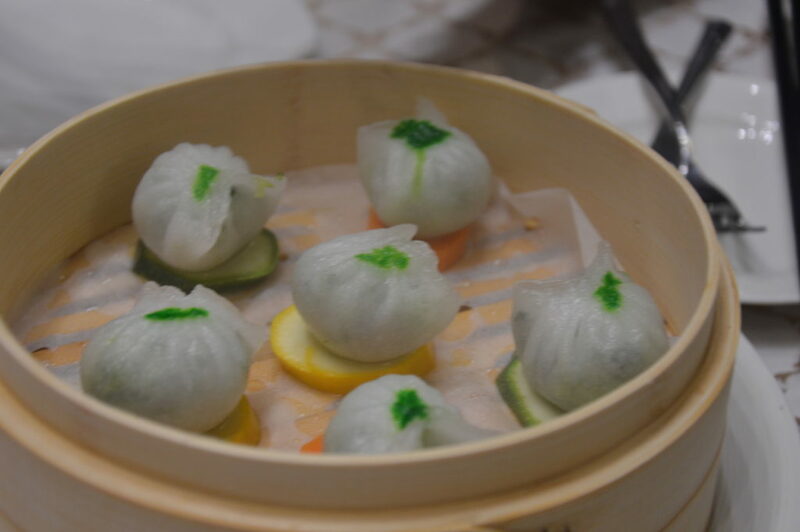 They all were so good, and you really can’t afford to miss them, especially the dim sums. 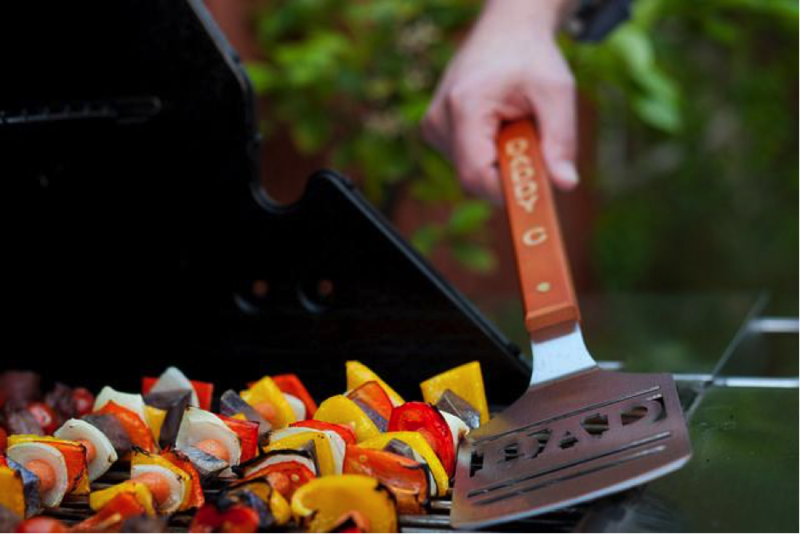 They were so juicy and tasty that you can’t have enough of them. For the mains I ordered a Mixed Sauce Chicken Pasta and also tried some Dal Makhani with Butter Naan. Fish N Chips too were good, I can say that because I indulged in hearty two bites of the same, sharing from my friends. 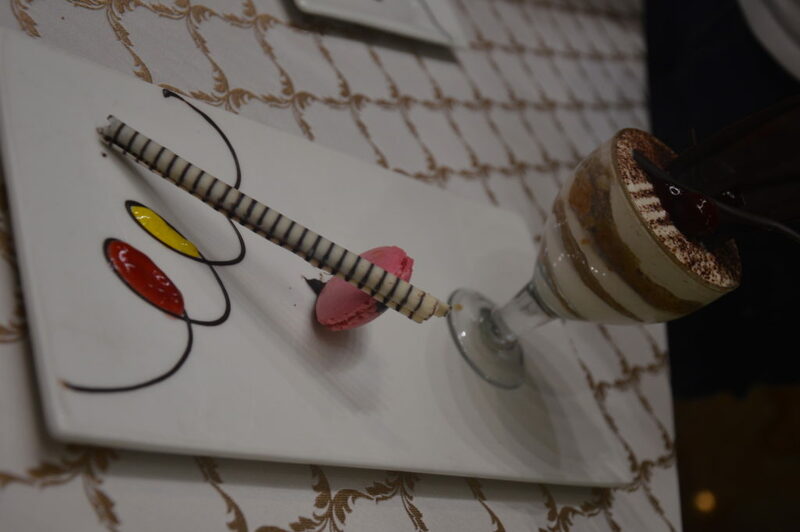 The Tiramisu that I had for dessert was by far one of the best I have eaten in recent times. Please do try it. It was so moist and creamy and perfectly flavoured. I loved it completely. B.E.D.- Beverage, Entertainment, Dining- BED is really true to its name! 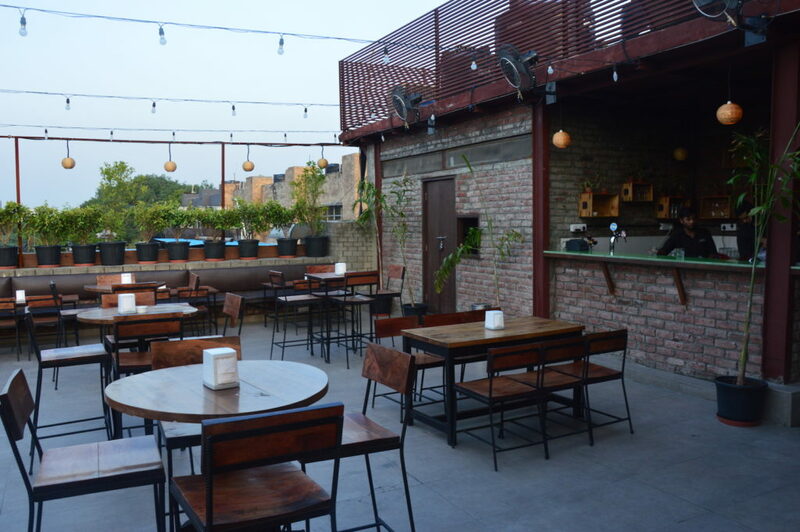 A newbie on the block, and nestled in the N Block Market of GKI, this place is surely to become a favourite with people, especially the South Delhiites, as true to its name, it provides great beverages, great entertainment and great dining experience. Spread across 2 floors, the upper floor also has an attached balcony, for some cosy private seating, outdoors. The interiors are very chic and English. Huge posters adorn the walls, and the seating is lounge type with comfortable couches and chairs. To begin with we ordered, Sliced Chilli Chicken, Lamb Galautis and Crispy Tofu. 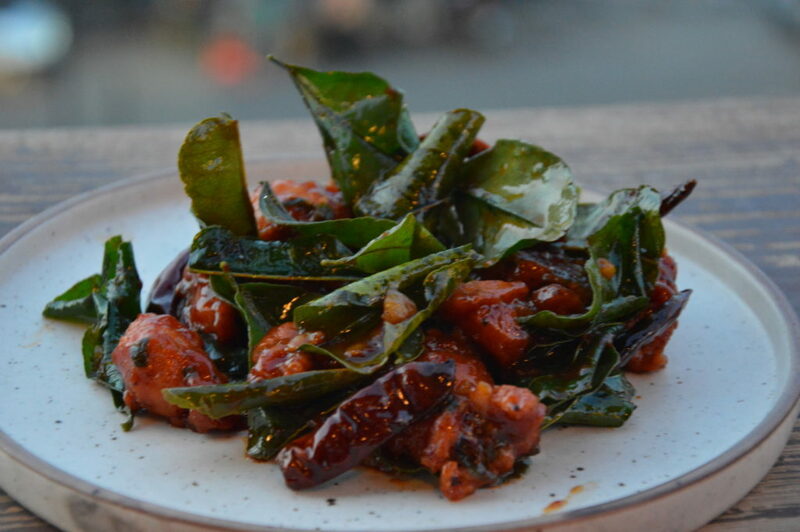 The sliced chilli chicken was outstandingly delicious, I mean so delicious that we ordered twice. The galautis, were mouth meltingly delicious, soft and tender. The crispy tofu, though crispy on the outside, was really soft from inside and it too made for a delectable dish. Next we tried Spicy Chicken Dumplings, Duck Dumplings and Mushroom Pate along with Big Fat Loaded Potato and Some Chicken Wings. 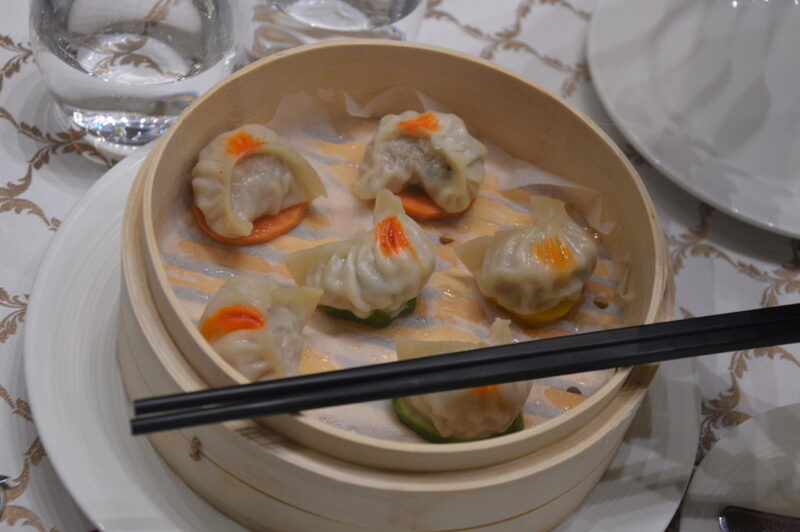 The dumplings were very well done, and I loved both the varieties. Mushroom Pate was a unusual kind of dish, where in mushrooms were like a paste on a rusk like toast, but it surely was delicious and I loved its mild taste. The baked potatoes loaded with creamy mushrooms was another winner dish for me. Fried Prawns and Lamb Chops were the next dishes we tried, though I personally gave prawns a skip, but my friends did praise it a lot, but yes the lamb chops were amazing. Very tender and the masala was perfect, I enjoyed them thoroughly. Also tried the Avocado Sushi, and must say, it was very well prepared. For mains, I just called for Stuffed Grilled Chicken, which was stuffed with 4 cheese and spinach and served with Mushroom Sauce, and OMG, it was just lovely. 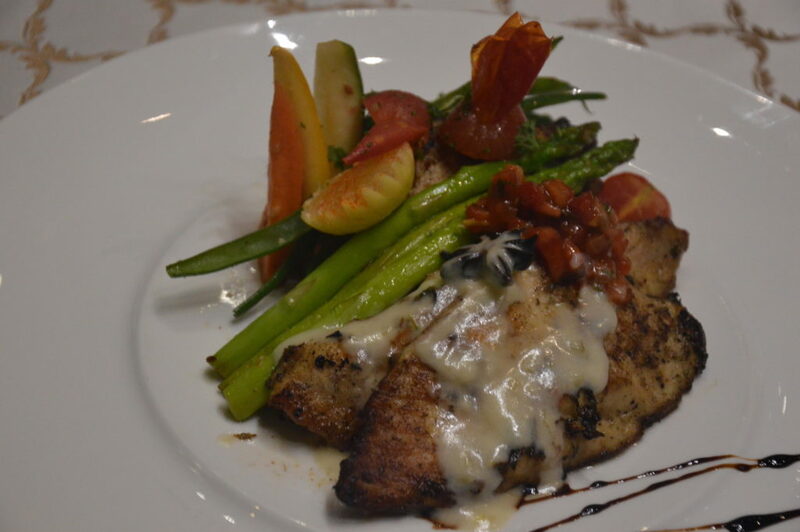 The chicken was grilled to perfection and the mushroom sauce enhanced the flavour like anything. For desserts, we tried the Mango Mousse, Brownie with Ice Cream and Chocolate Fondant, all three of them were delicious. Brownie was the only dessert in which I thought there was a scope of improvement, as it could have been a little more chocolaty and gooey. Rest the mango mousse and chocolate fondant were great. 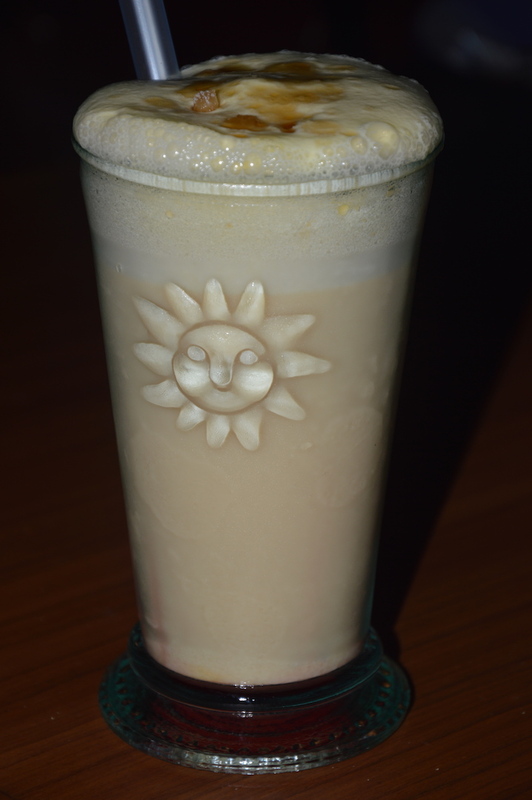 For drinks I highly recommend, the Oreo Shake and Chocolate Shake and Peach Le Fizz. 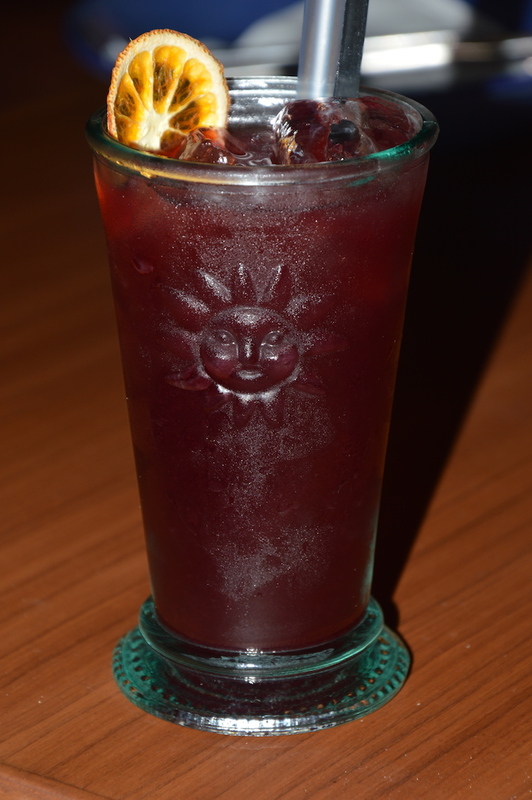 They are worth slurping and perfect to beat the heat. Posted in Restaurant ReviewTagged BED, Best Food Blog, Best Food Blogger, Delhi Food Blogger, Dining Places, Food, Food Blog, Food Blogger, Food Review, Food Reviewer, Places to Dine, Places to Eat, Places to Eat in Delhi, Restaurant Review, Top Food BlogLeave a Comment on B.E.D.- Beverage, Entertainment, Dining- BED is really true to its name!